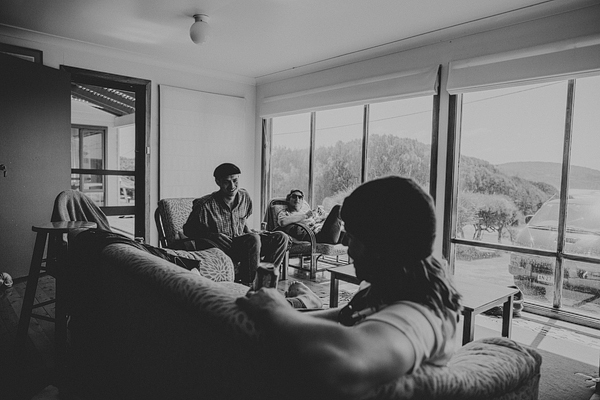 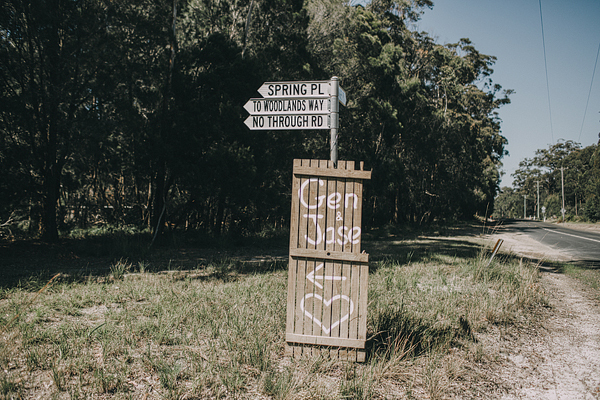 The property is owned by the Gen’s family, and is where she and her siblings grew up. 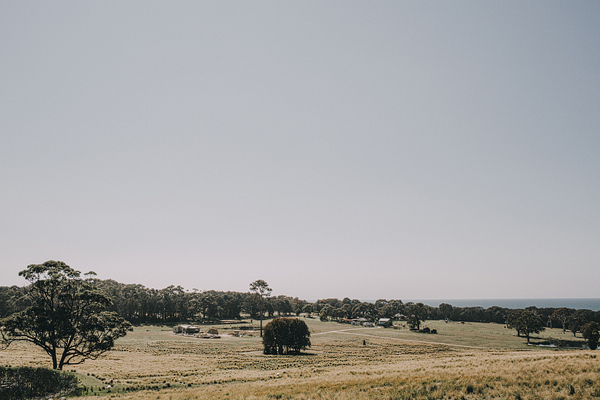 It’s a 100 Acres of magnificent farmland backing onto a beach that you could almost say was private. 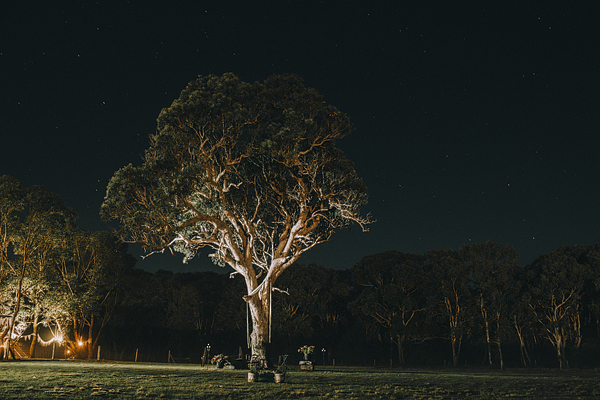 Its a hell of a place to grow up in, and a place that made absolute sense to have the greatest day of your life at. 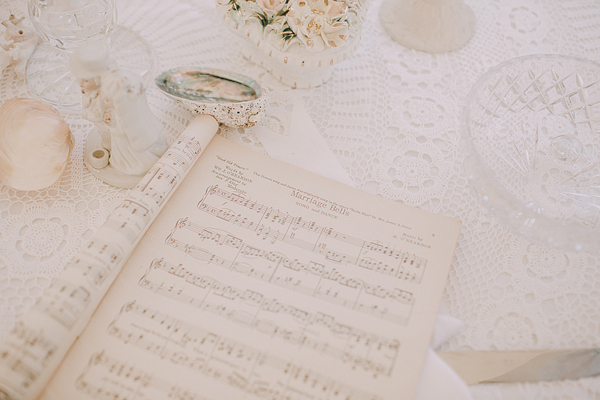 The place oozes “Love”. 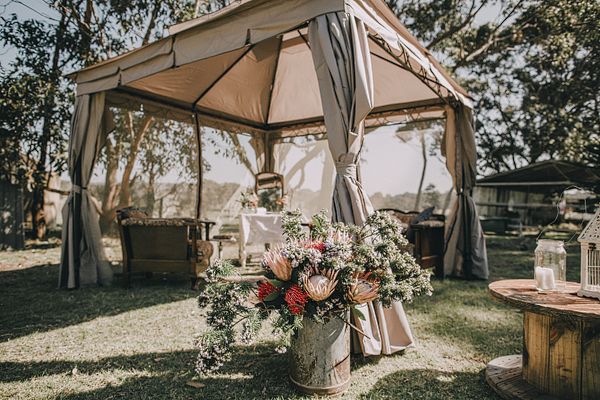 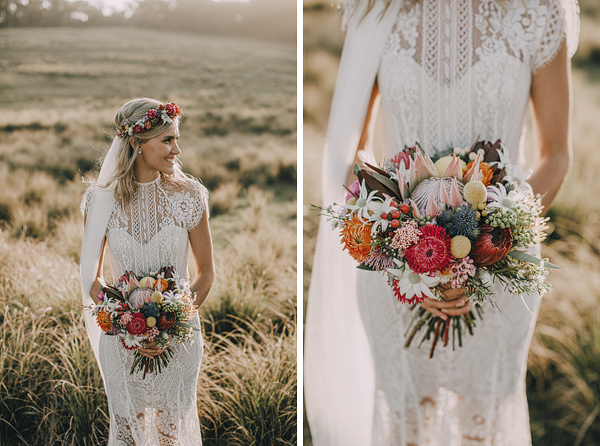 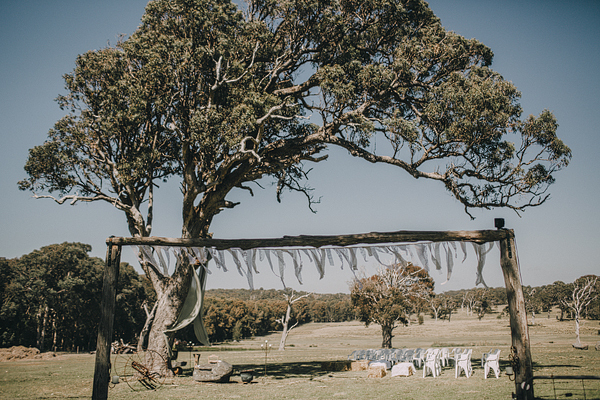 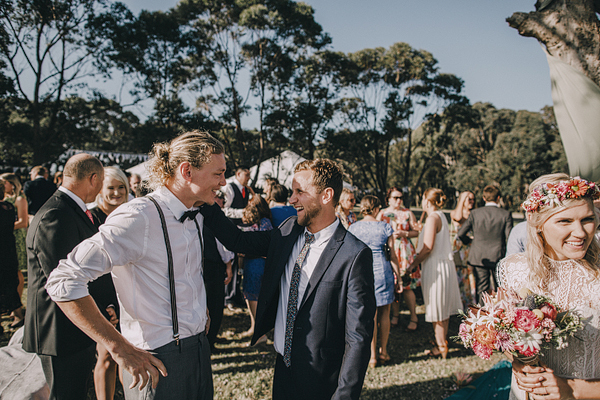 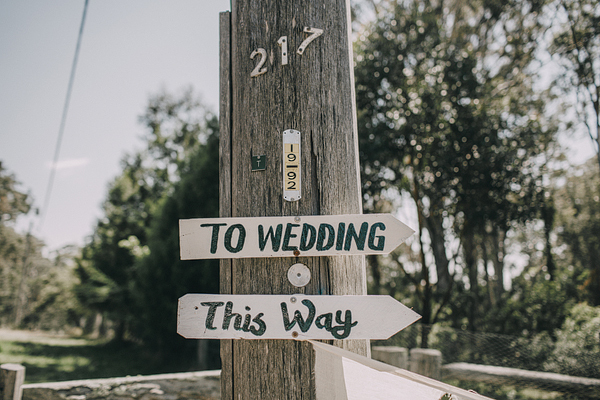 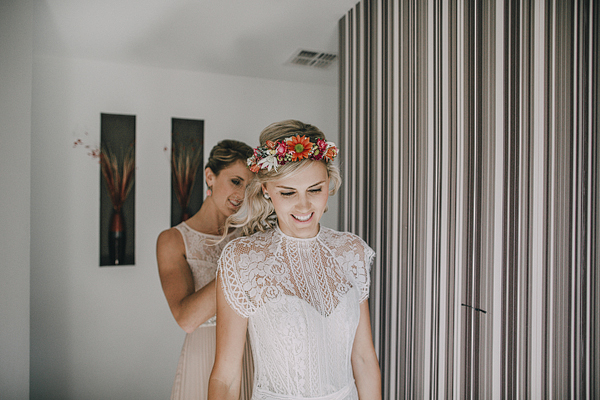 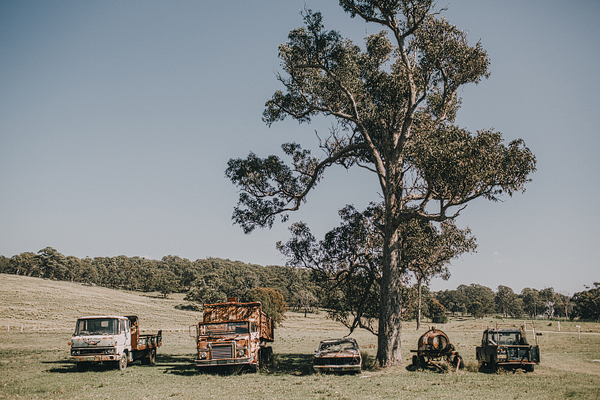 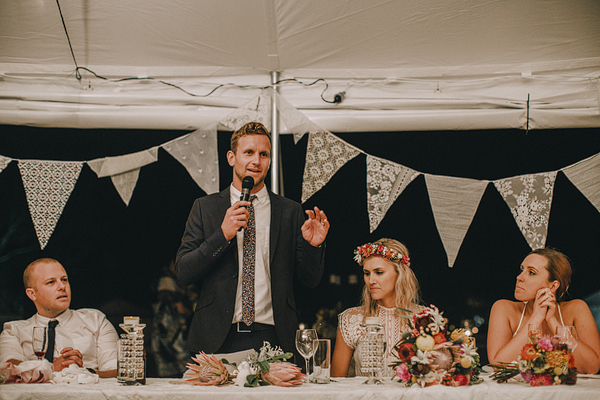 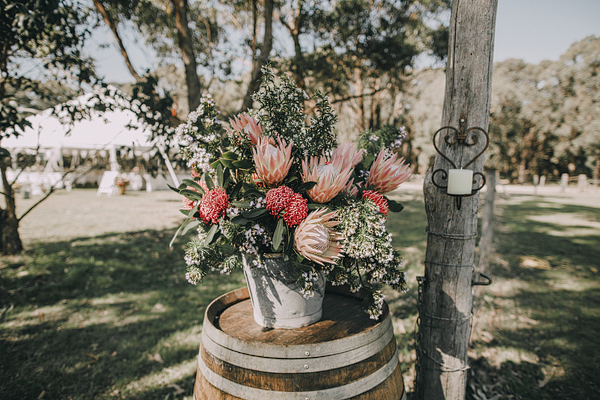 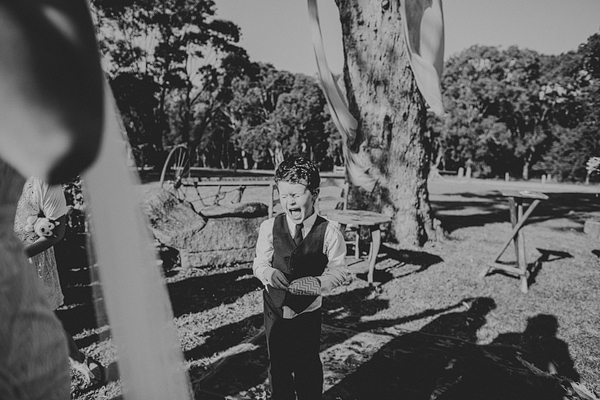 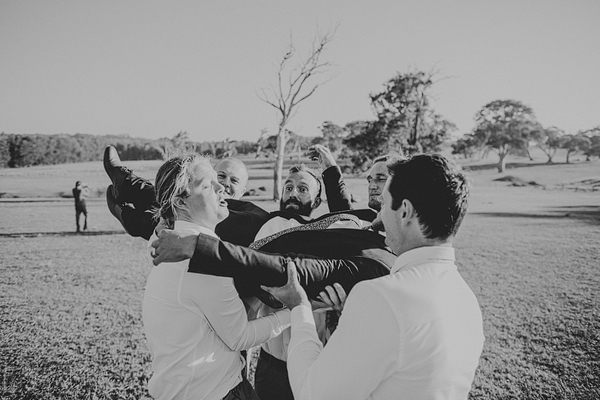 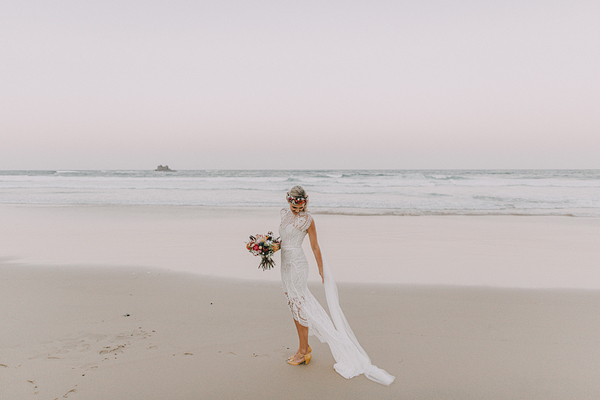 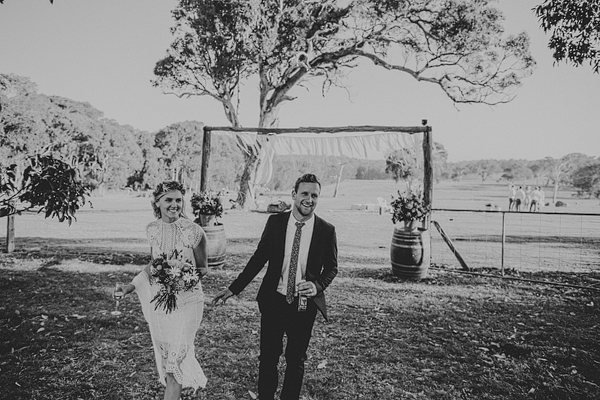 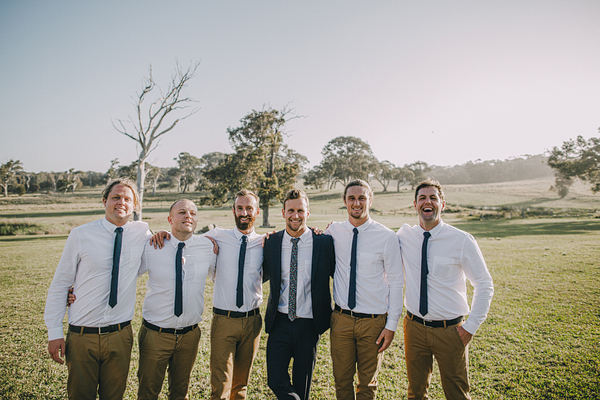 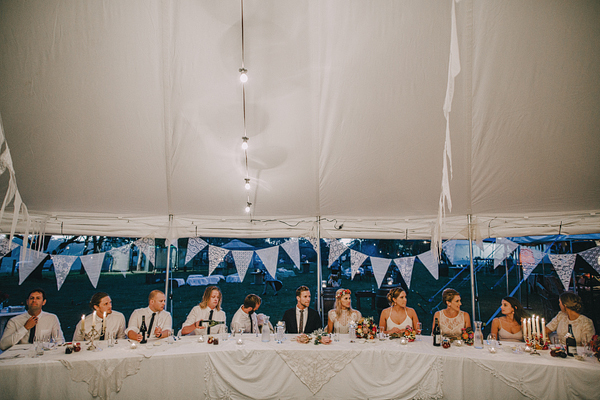 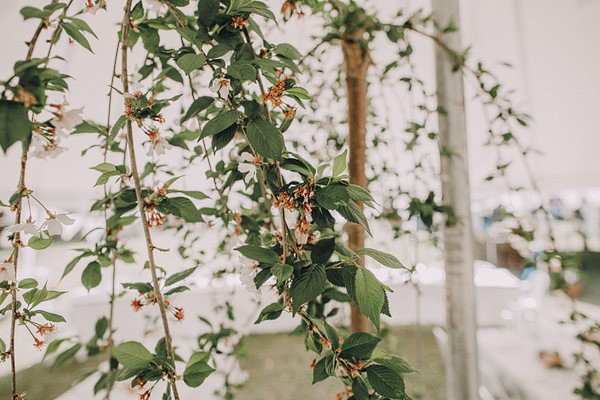 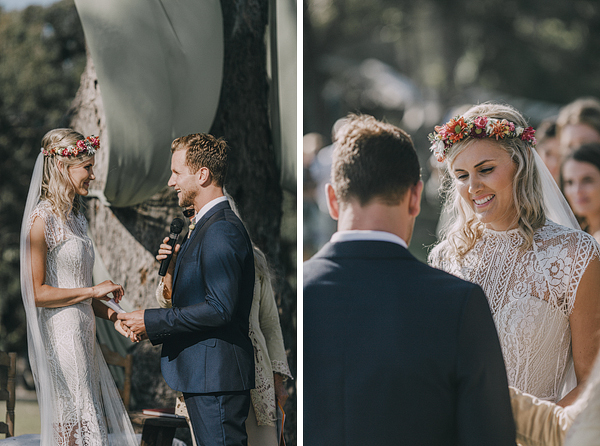 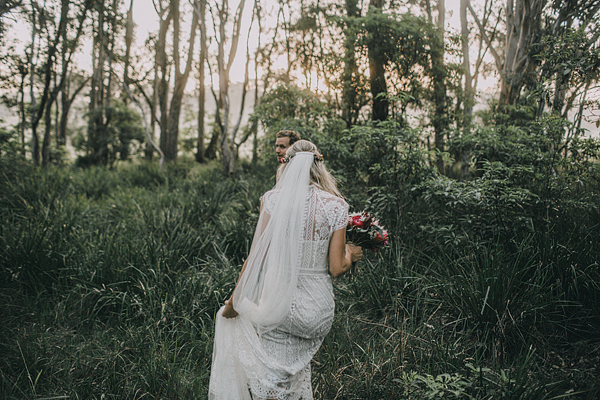 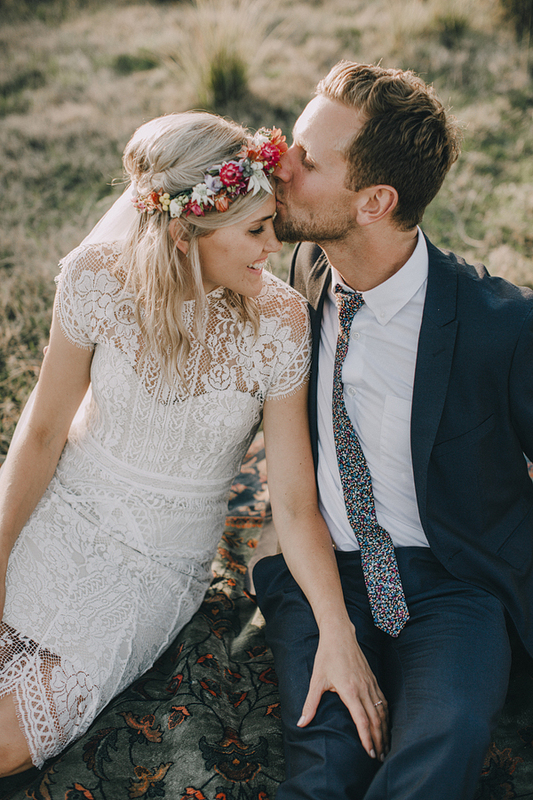 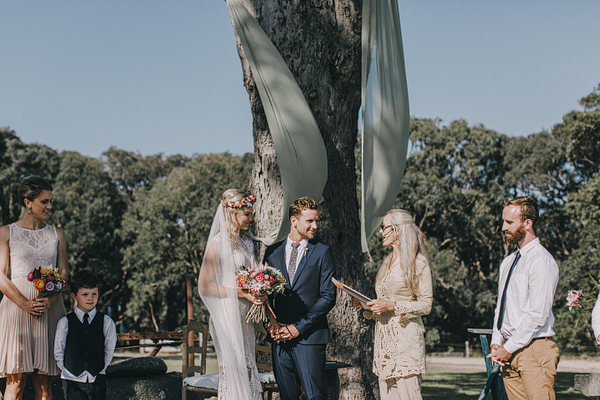 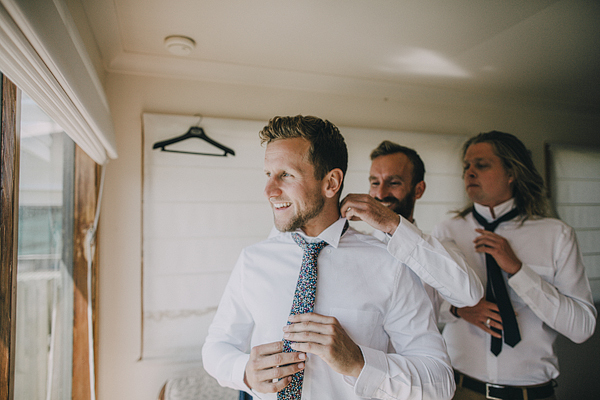 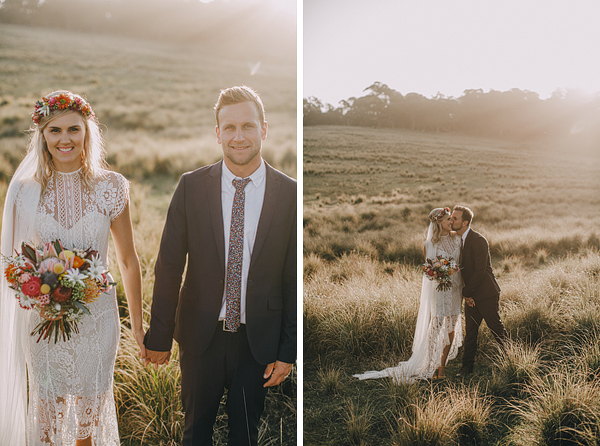 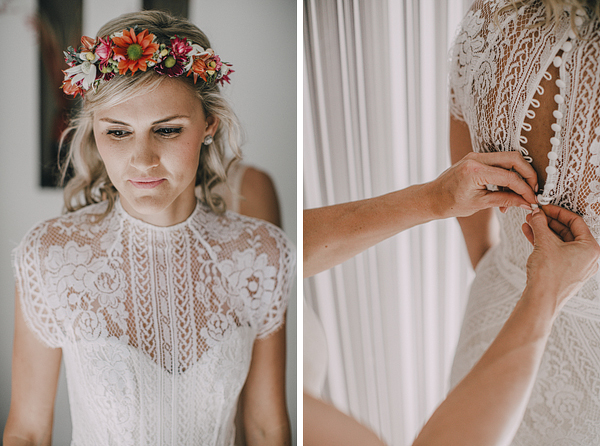 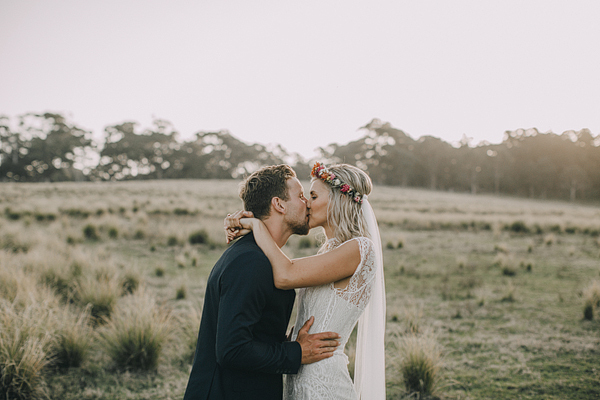 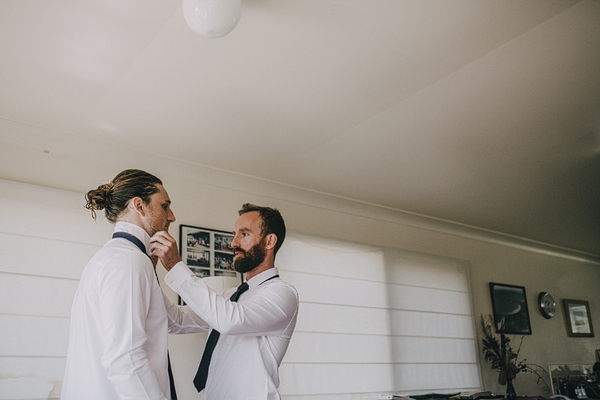 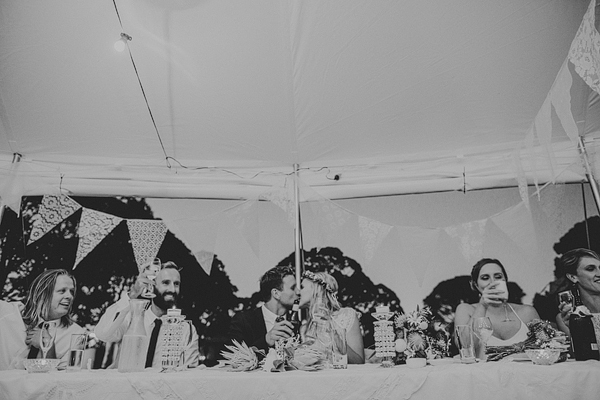 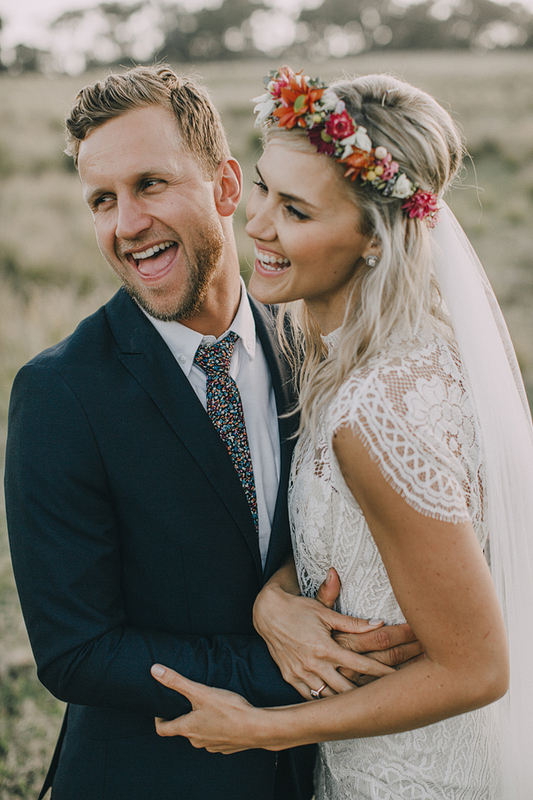 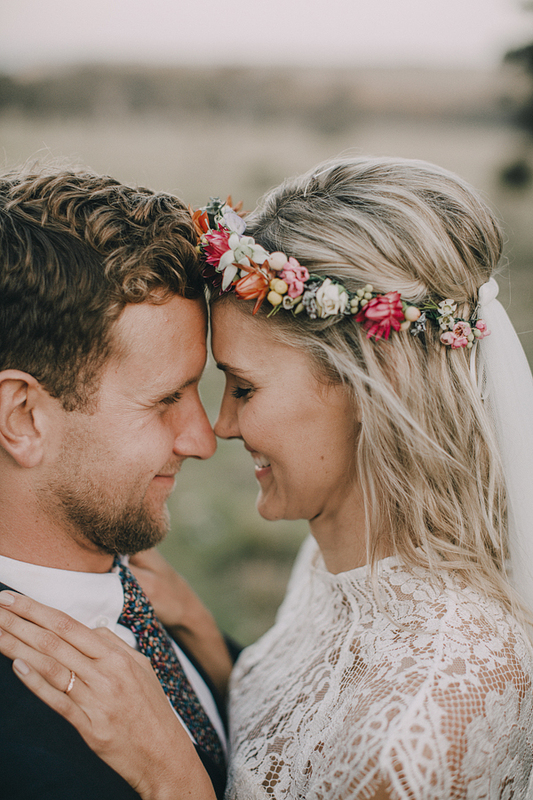 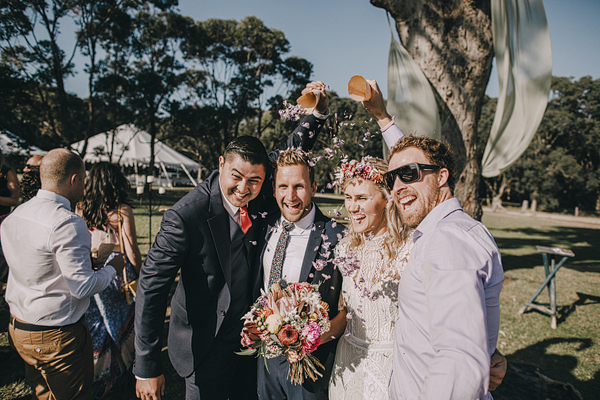 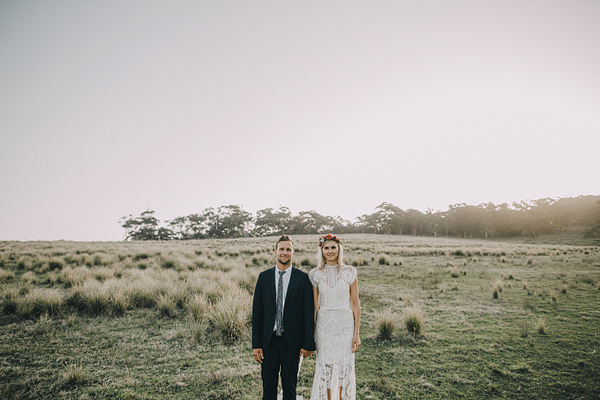 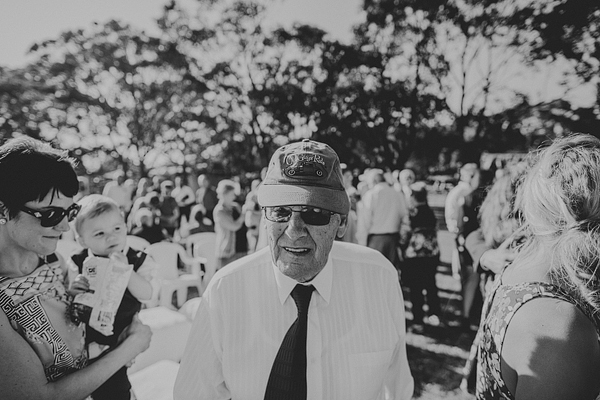 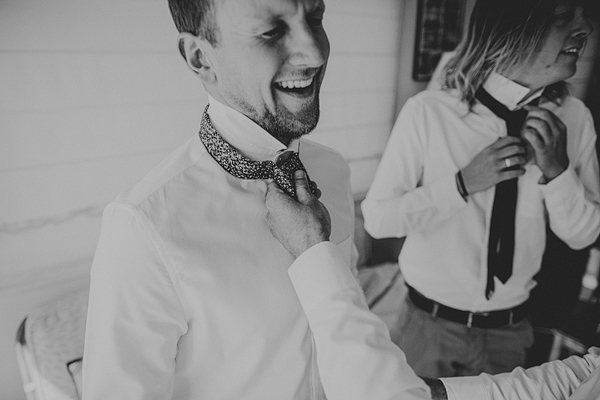 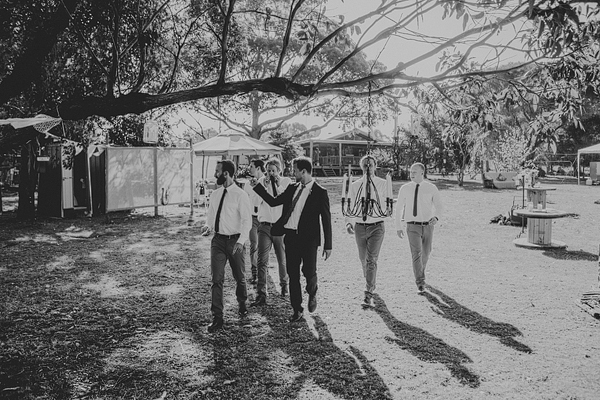 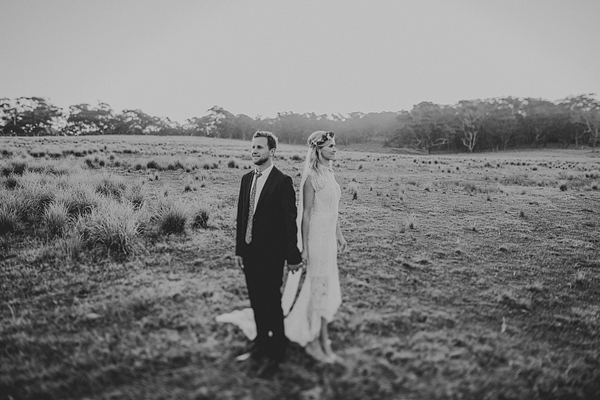 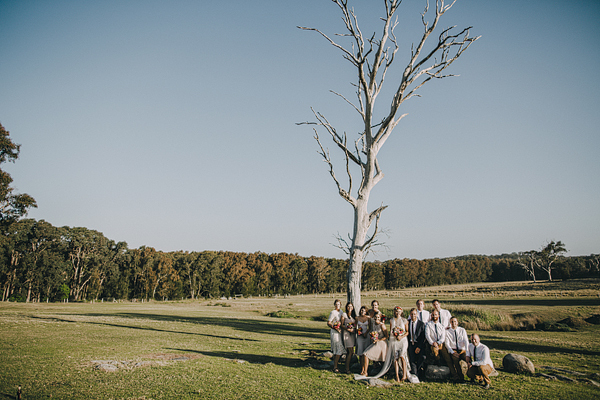 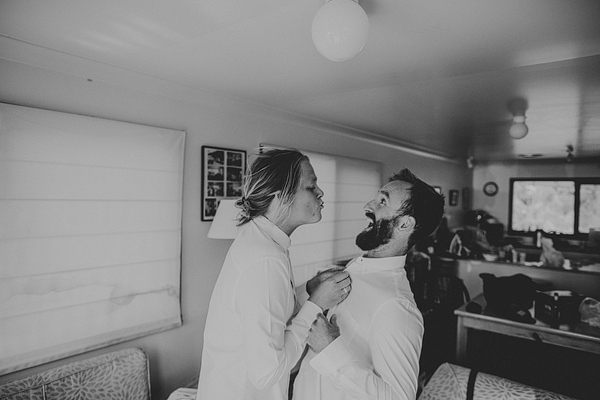 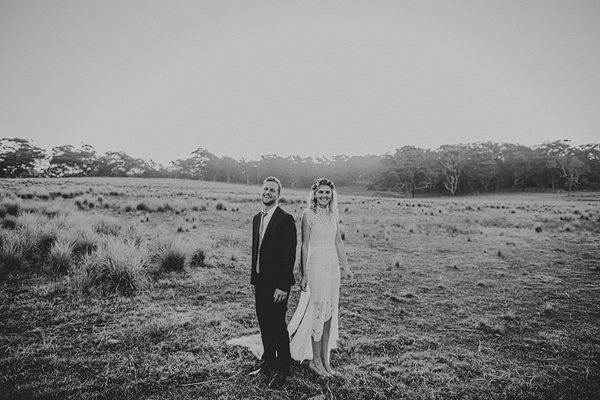 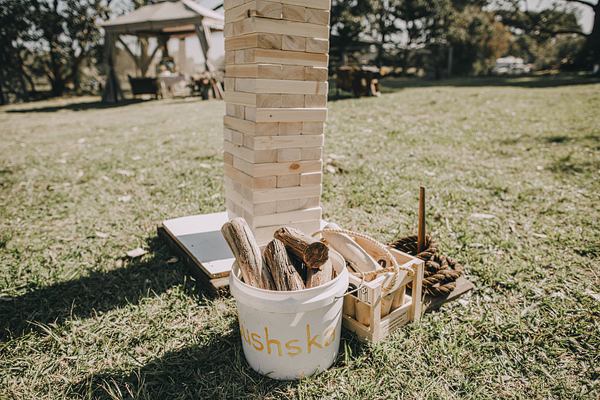 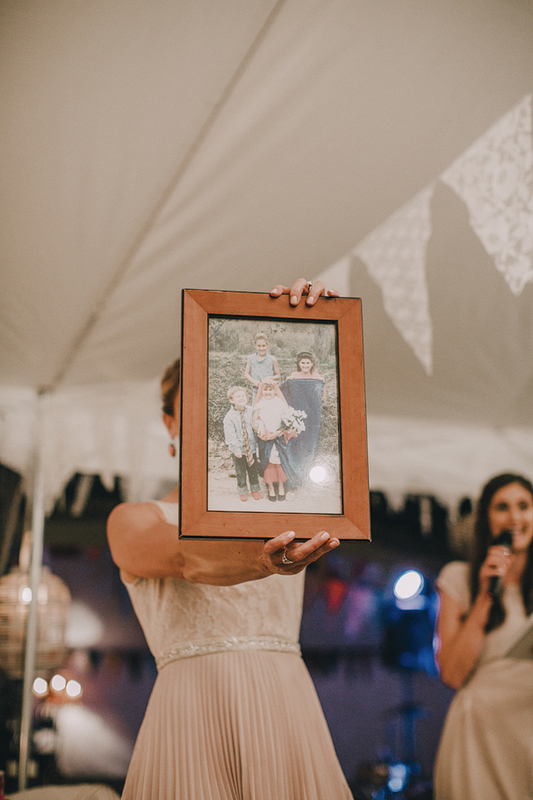 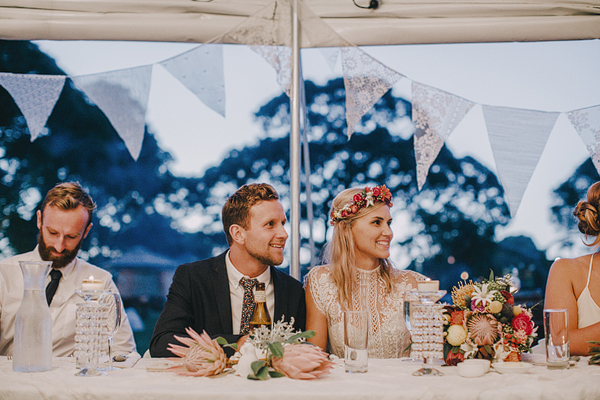 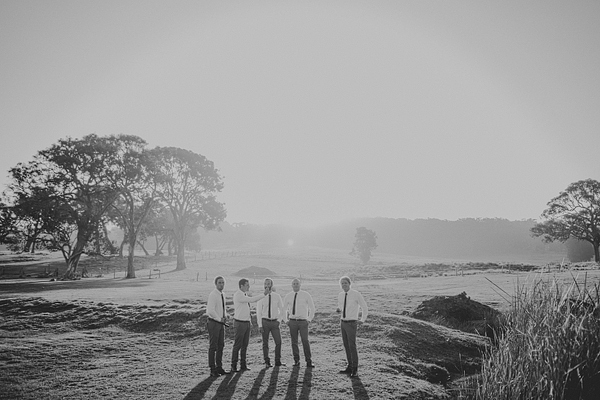 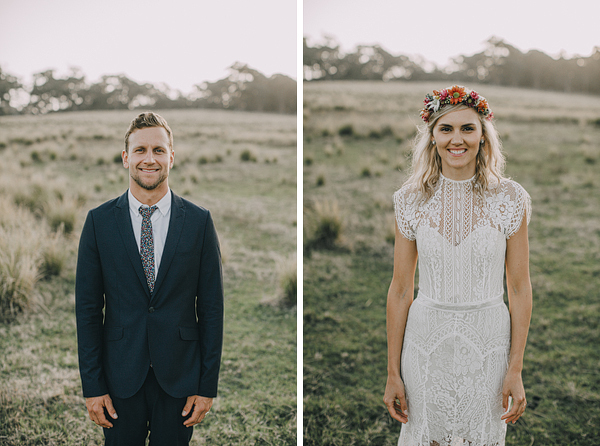 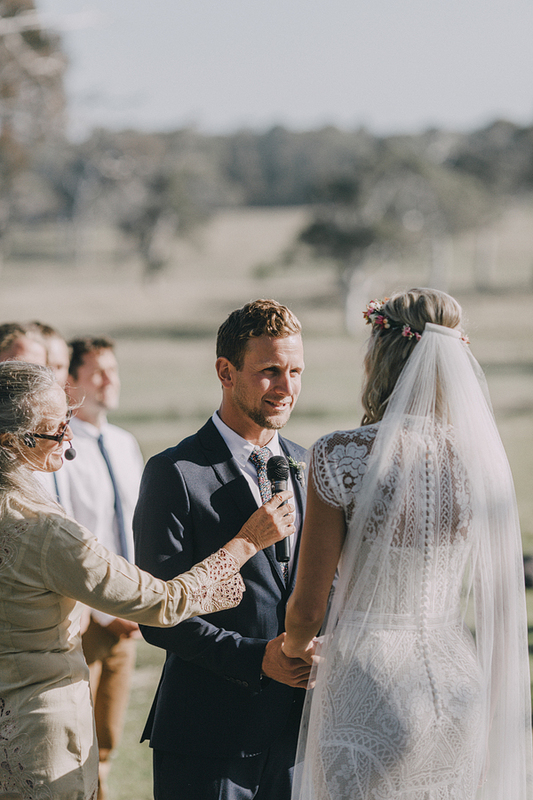 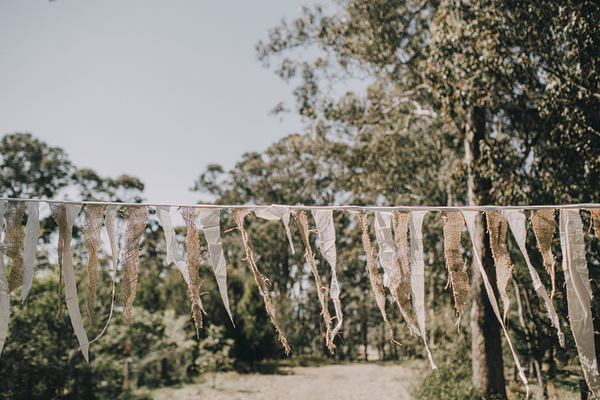 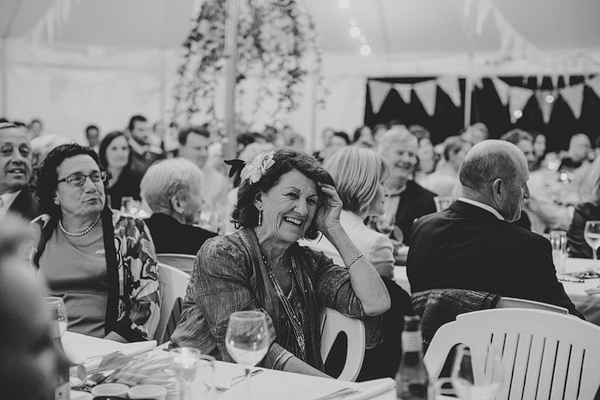 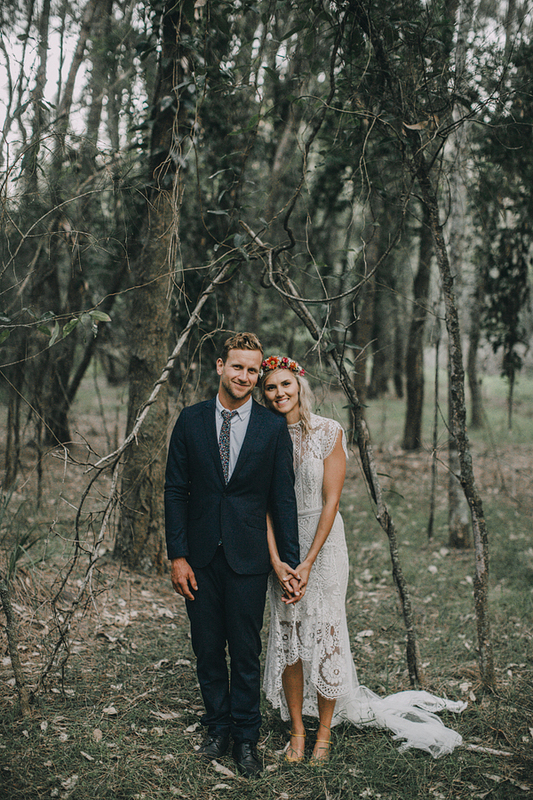 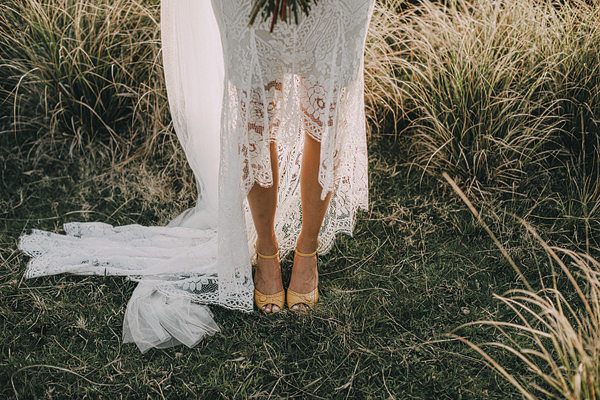 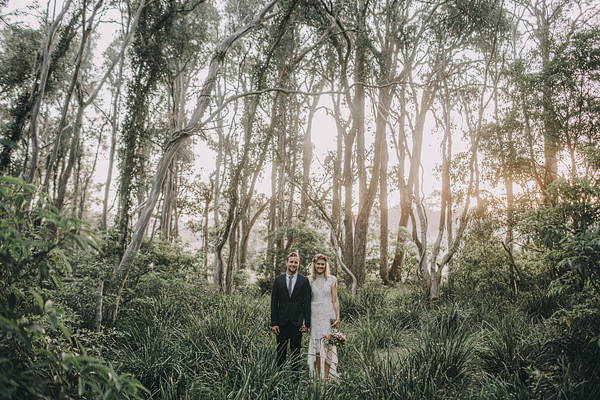 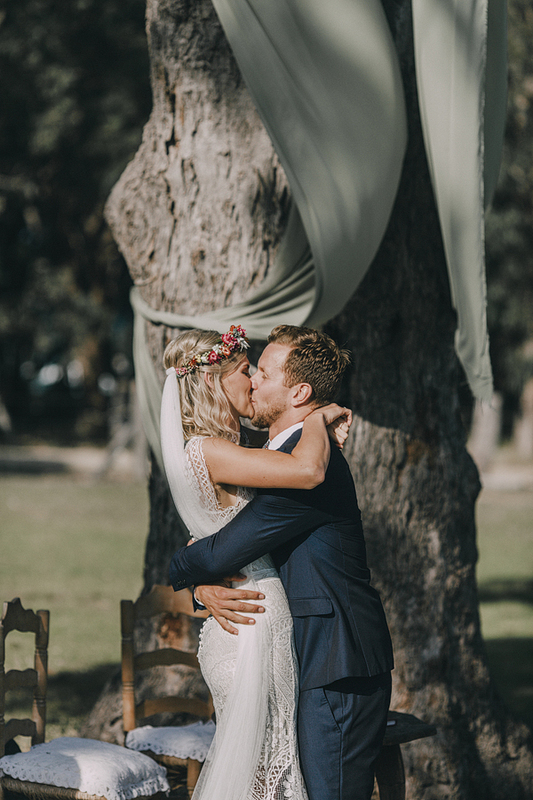 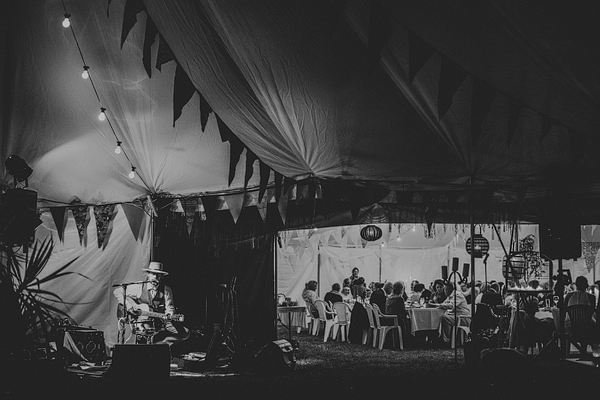 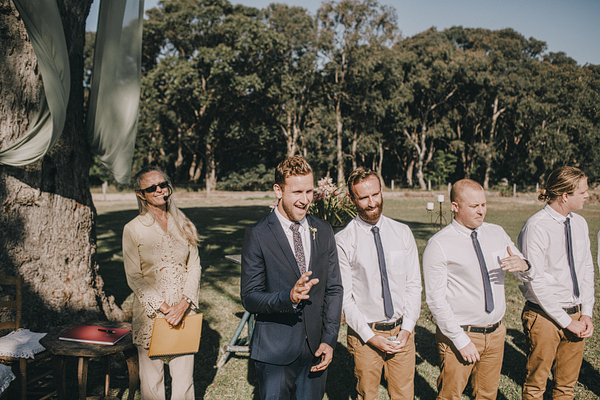 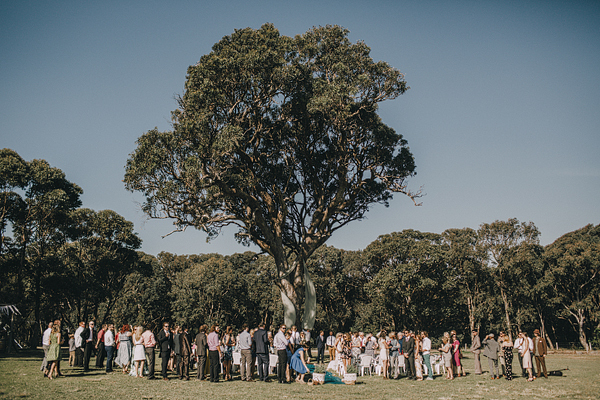 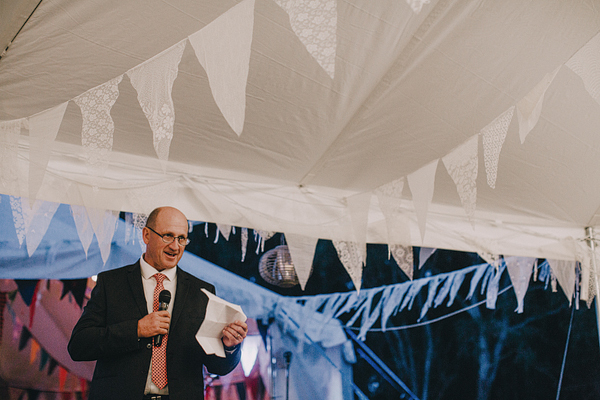 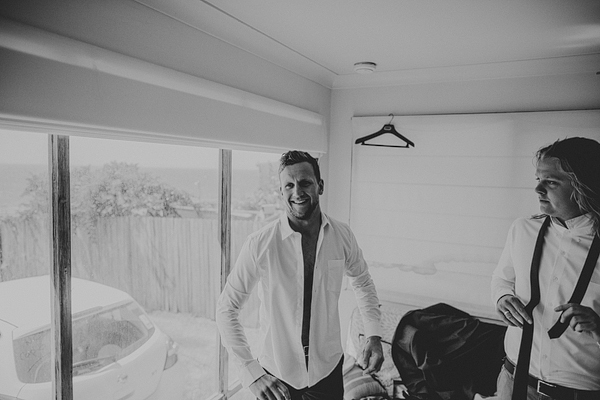 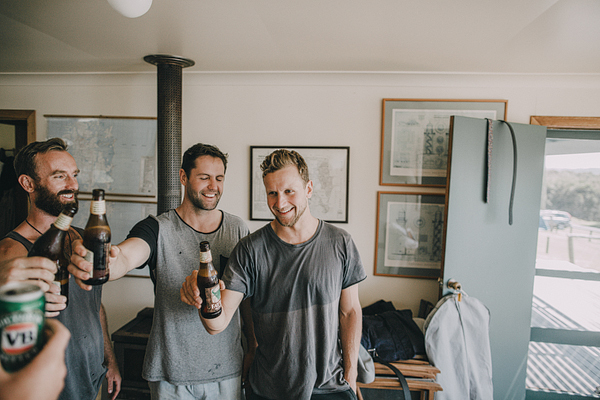 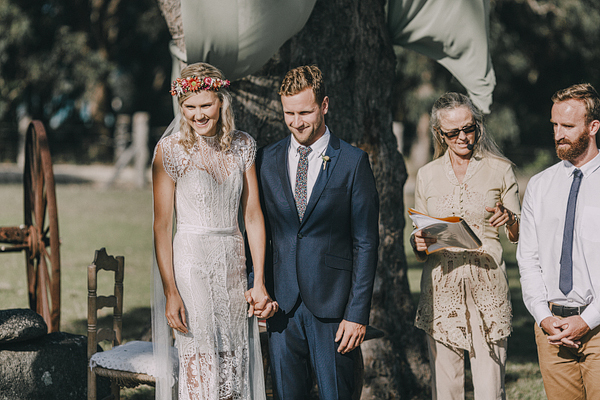 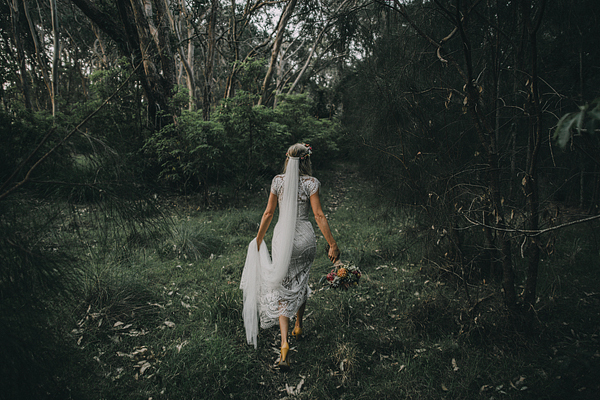 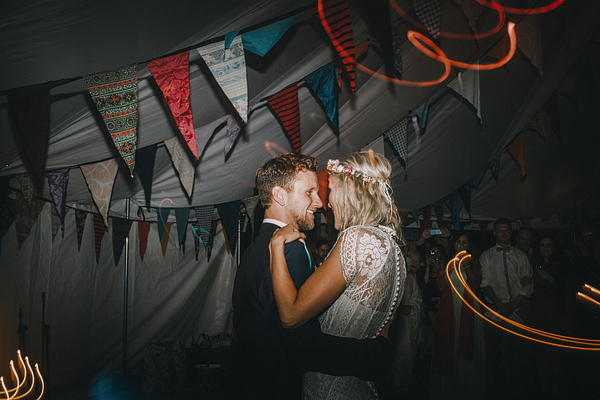 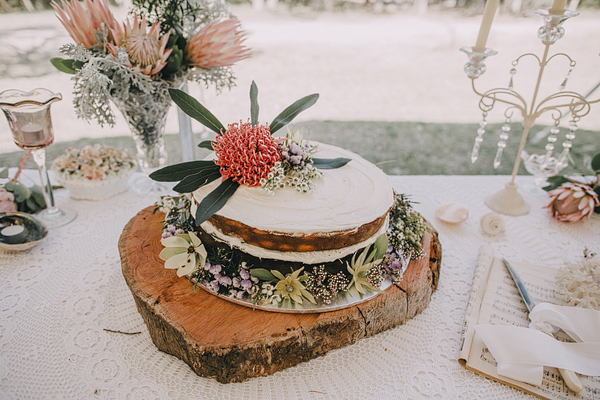 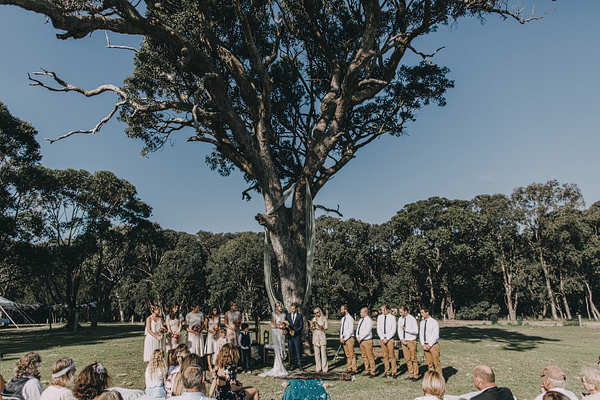 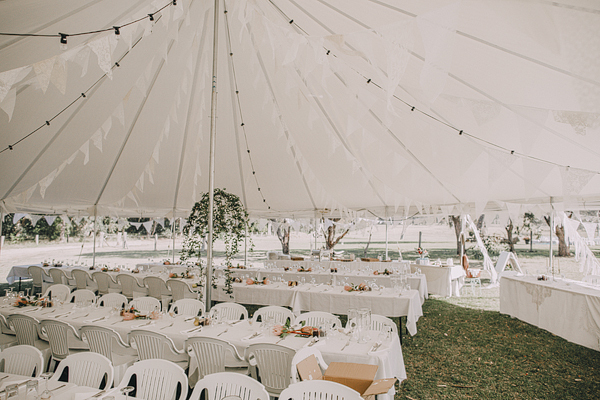 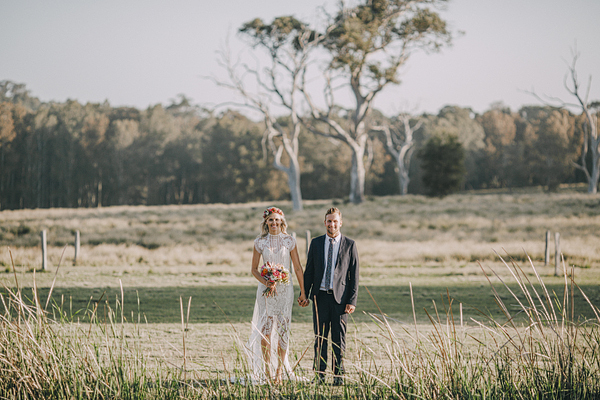 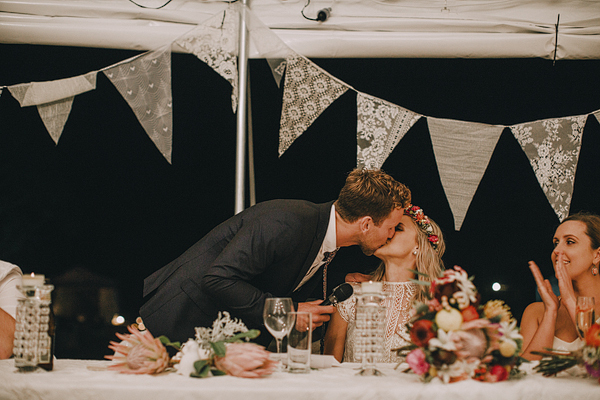 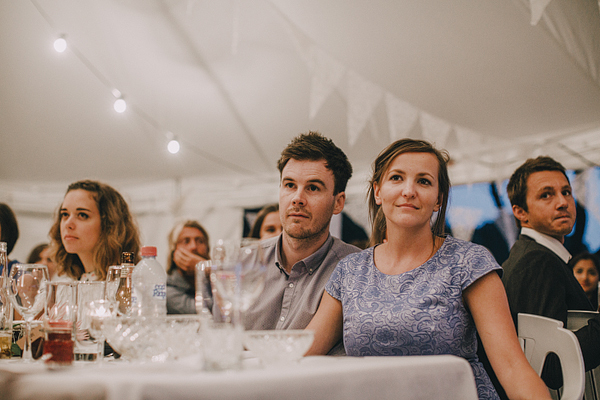 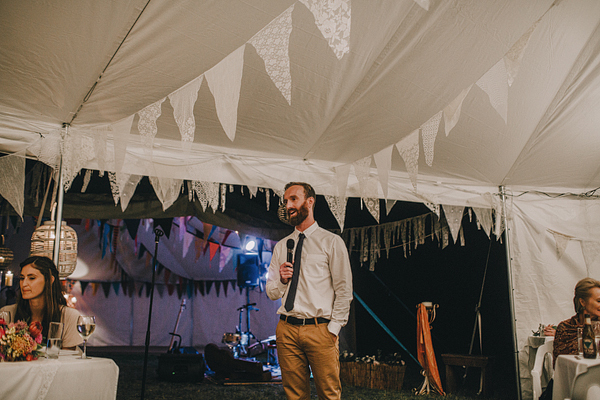 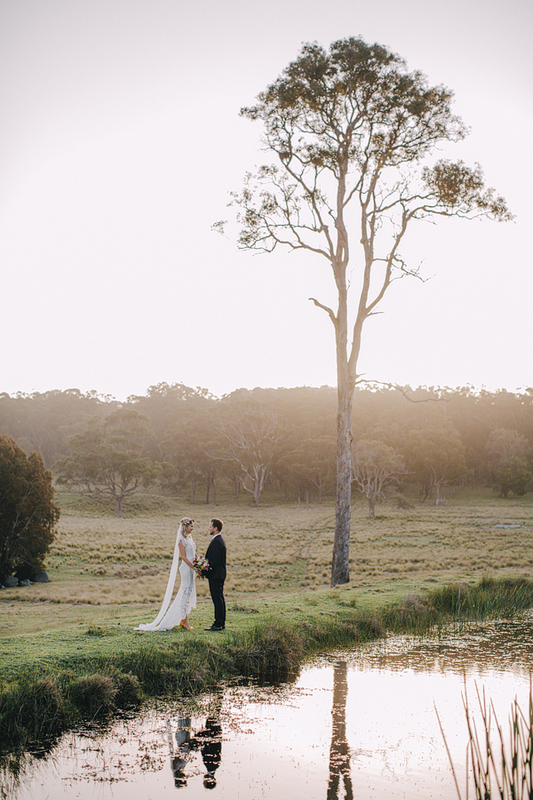 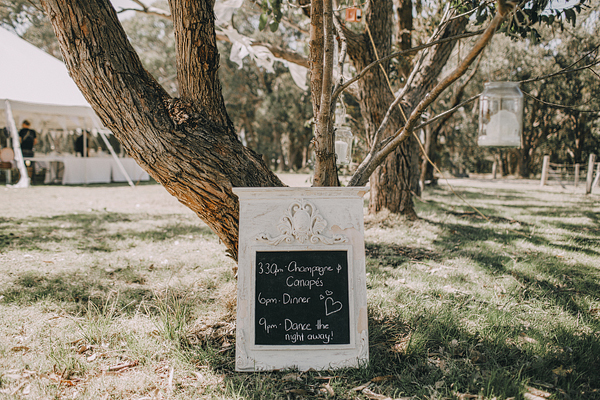 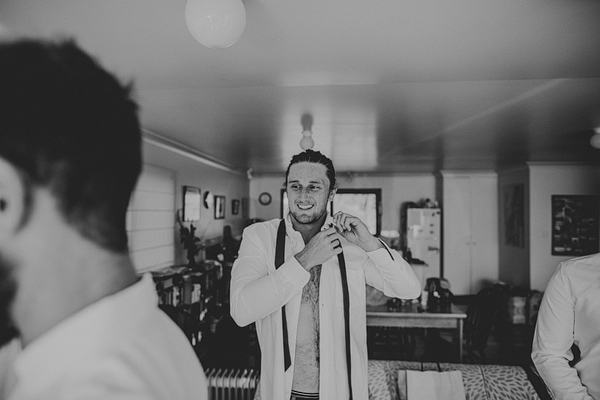 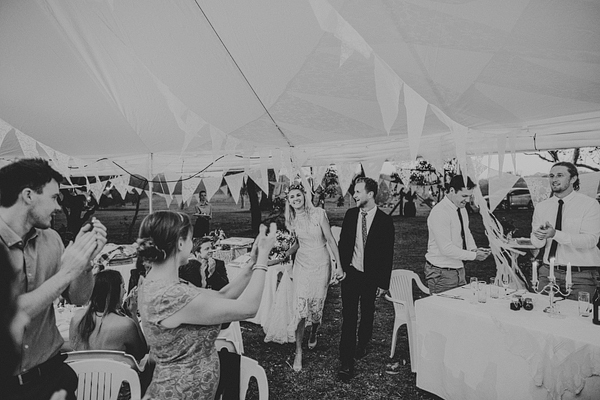 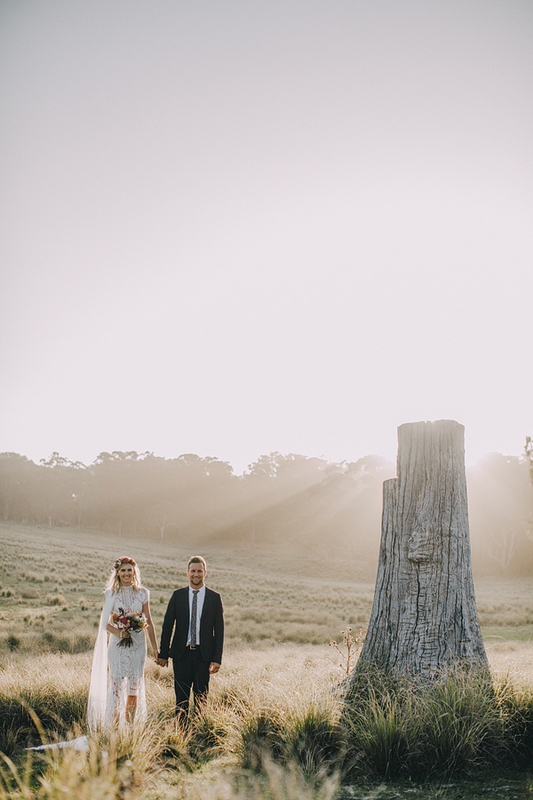 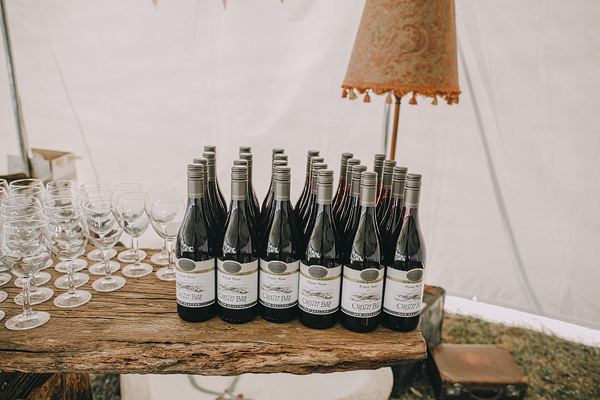 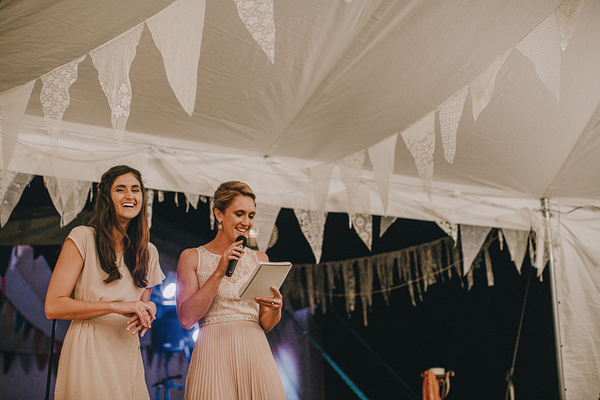 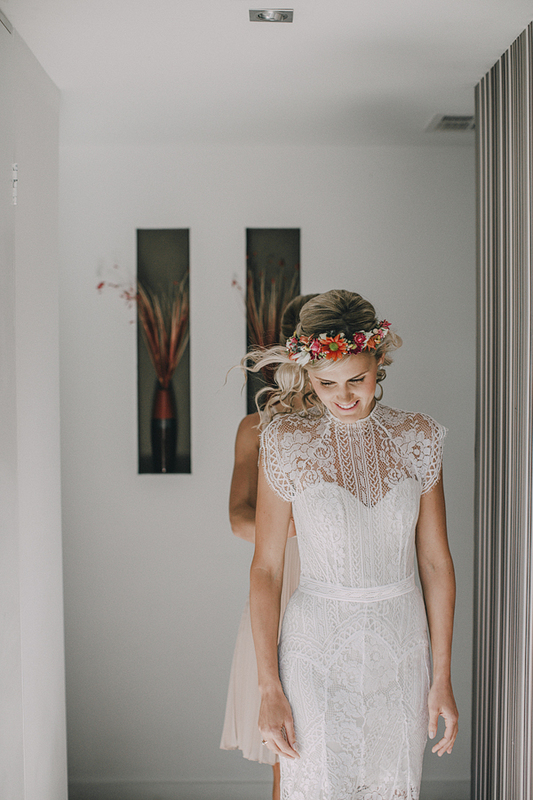 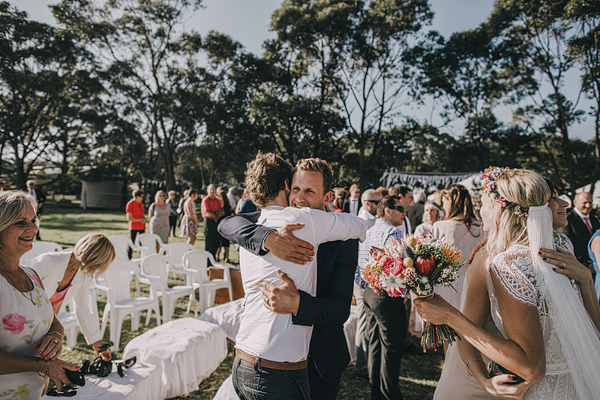 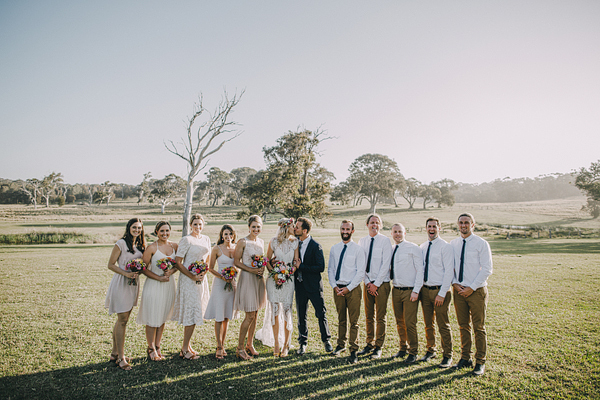 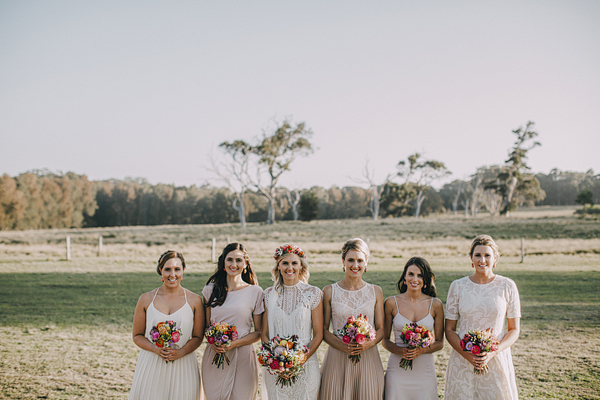 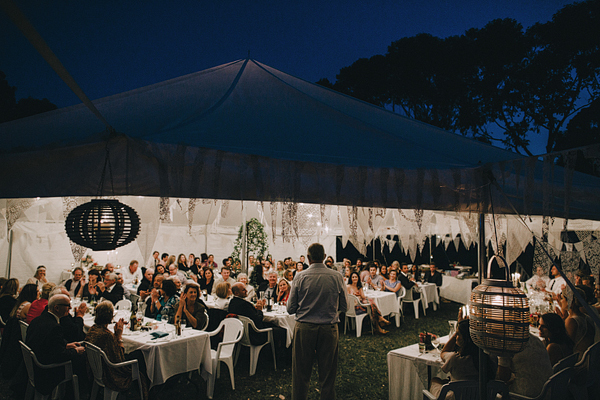 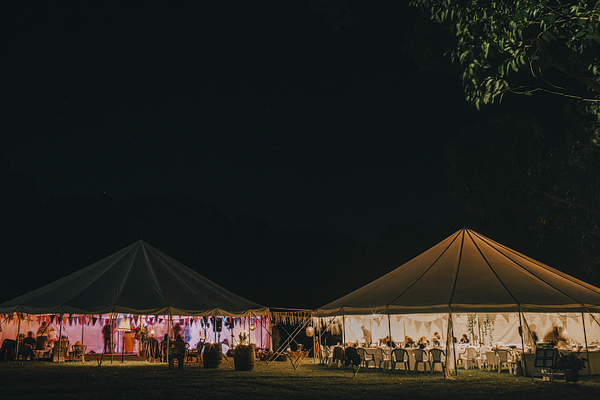 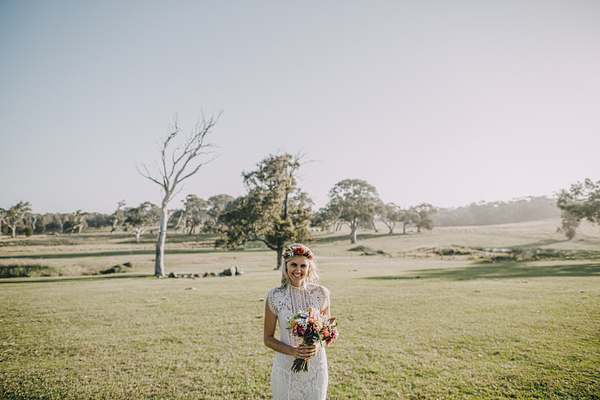 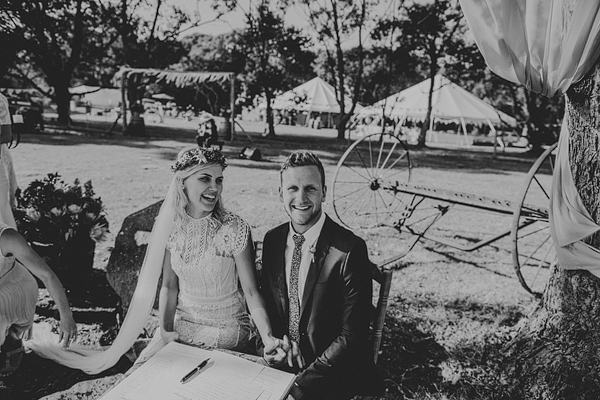 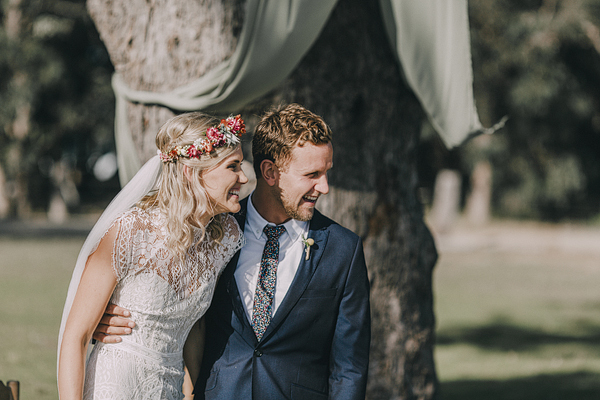 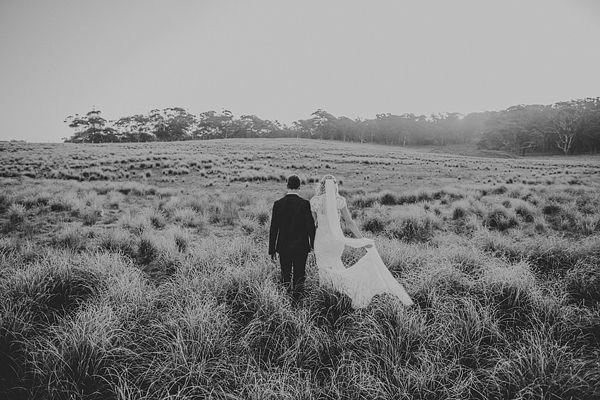 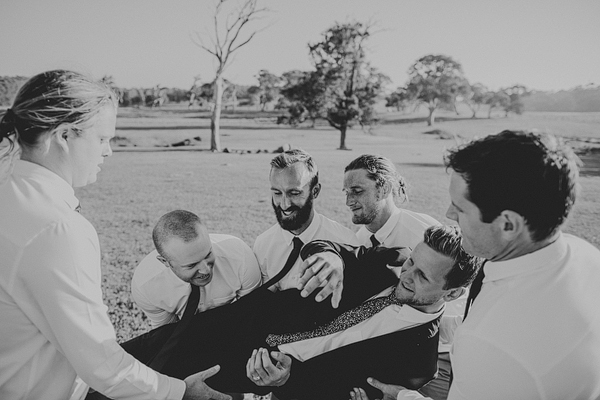 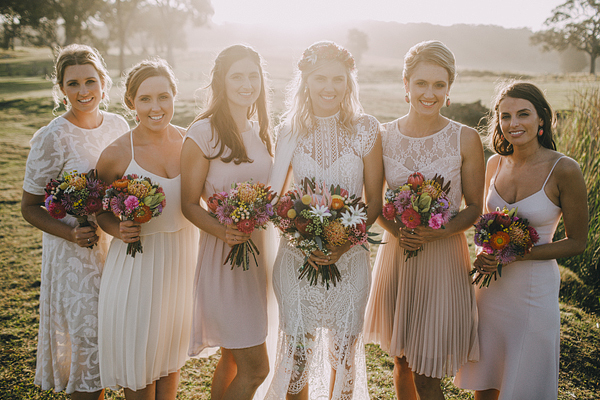 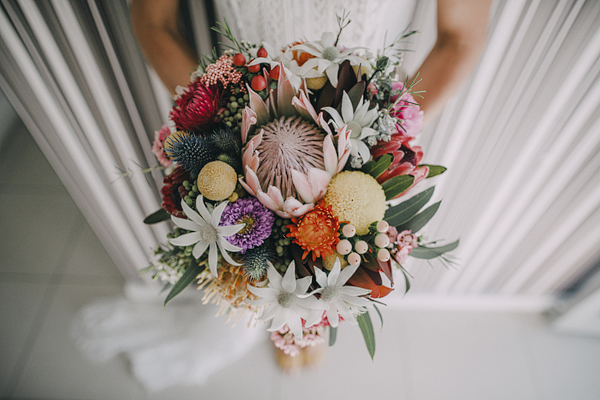 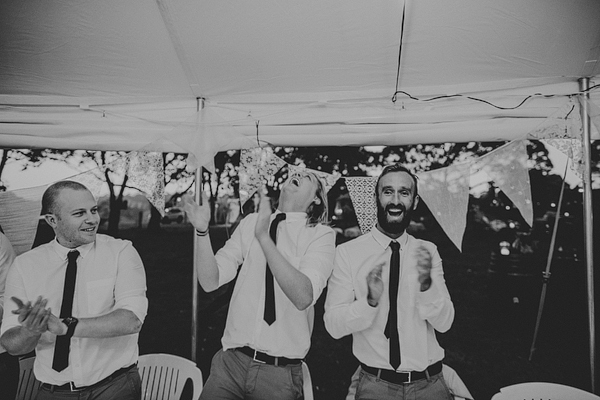 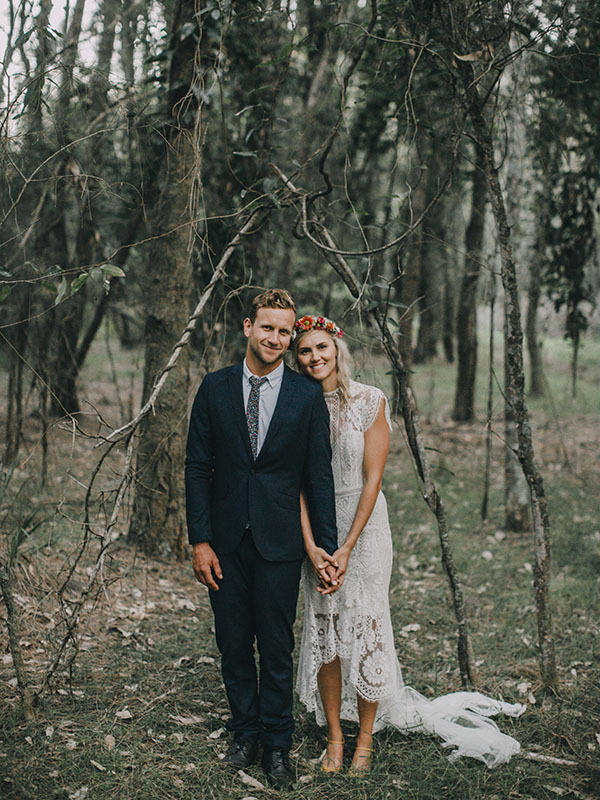 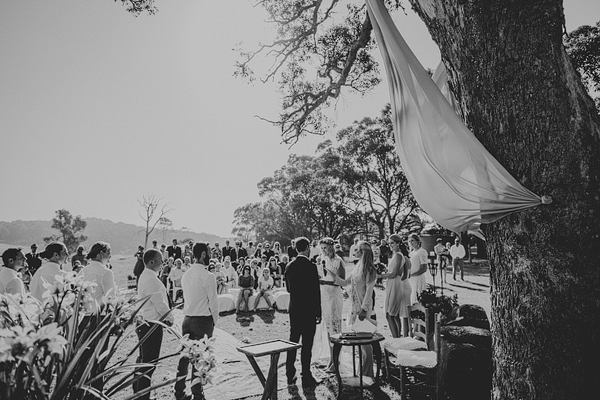 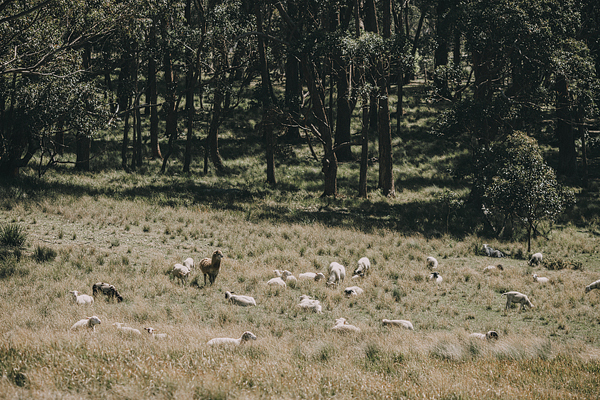 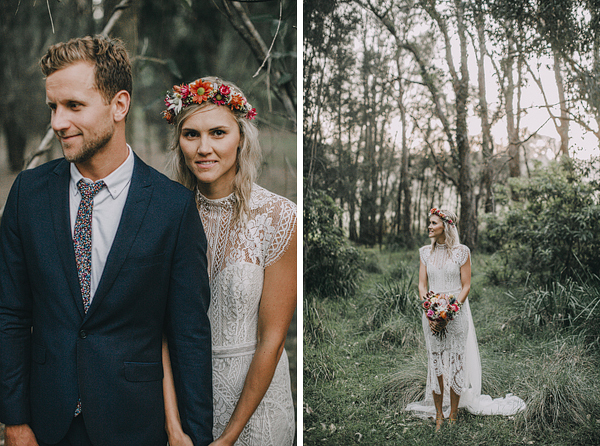 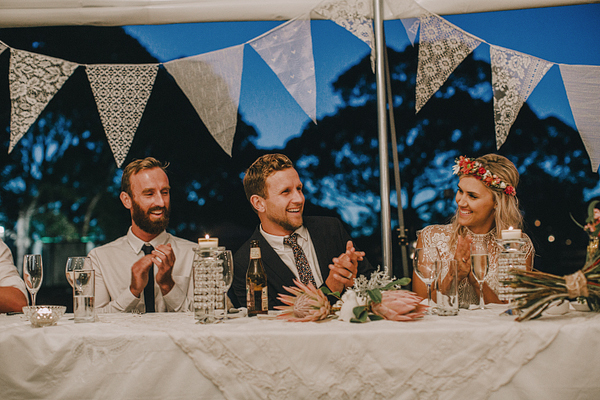 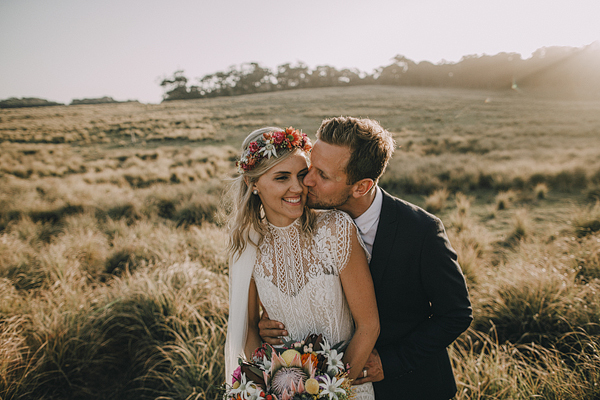 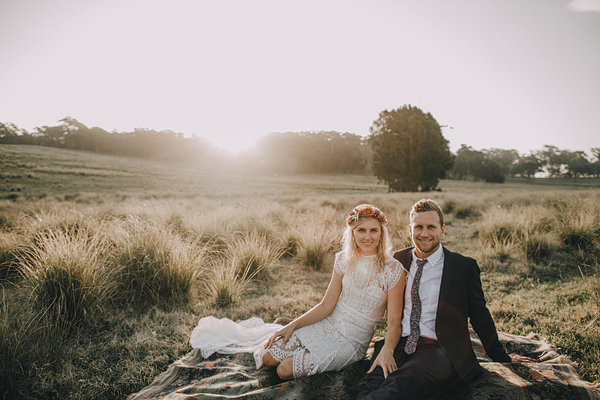 The wedding was situated in the front yard of their beautiful country style family home, with the ceremony under the single tree in the paddock that the kids once played around, and the reception just 30m away through an archway they built just for the occasion. 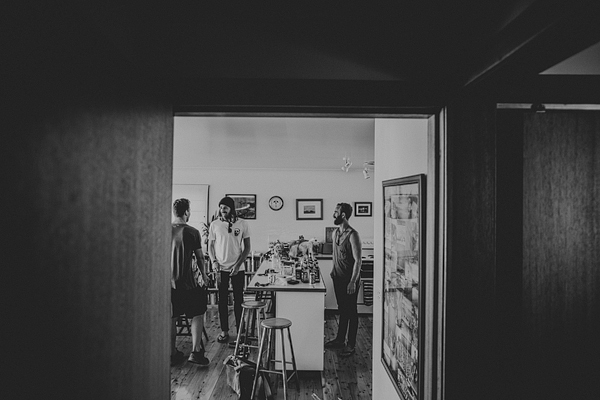 In fact, they have built everything themselves. 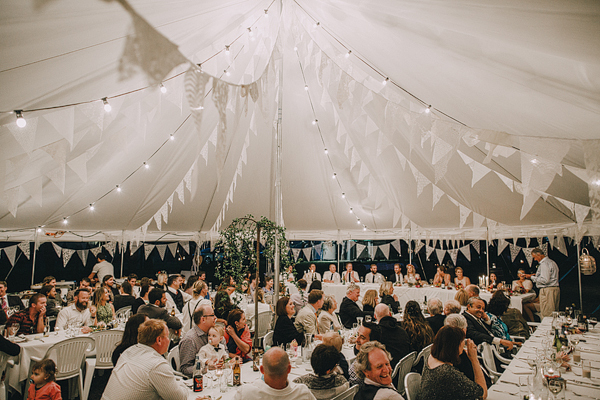 From buying the Marquee, and borrowing a 2nd from neighbours, they have then transformed this blank canvas into something beautiful. 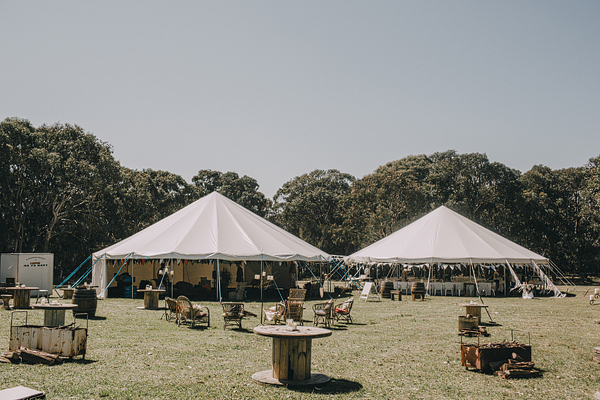 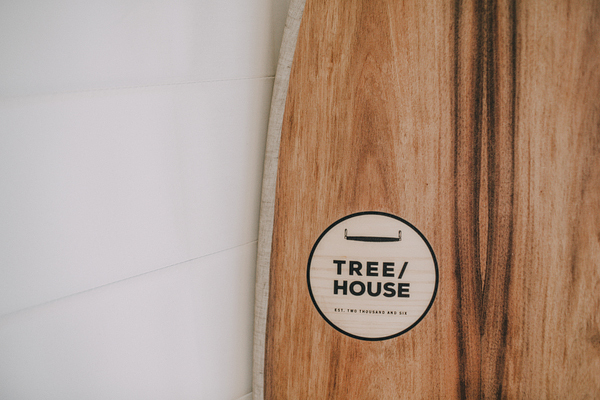 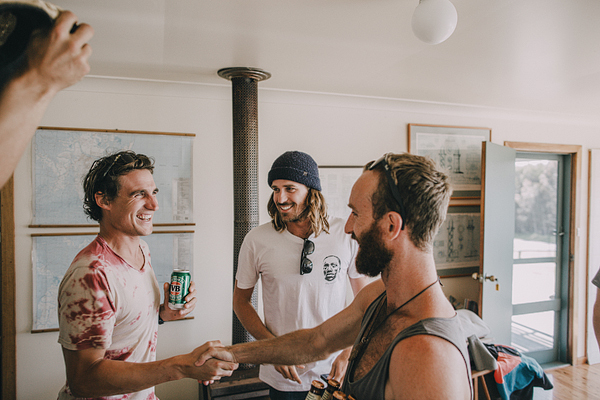 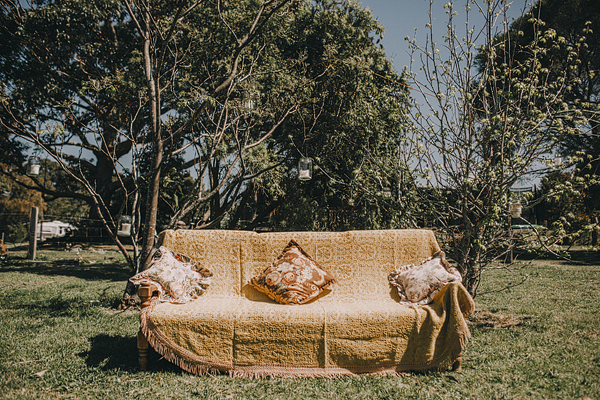 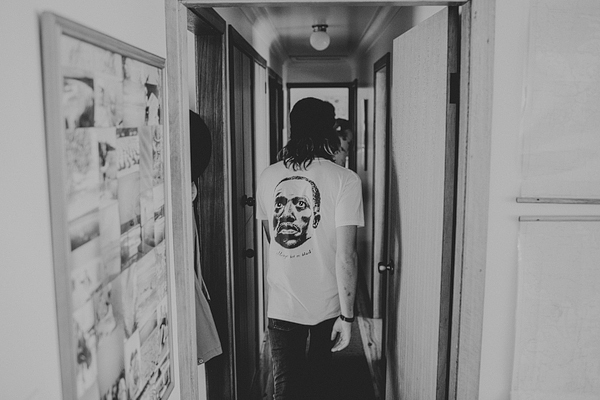 Family, friends, neighbours and the couple themselves spent months preparing the area for the occasion, to the extent of building dance floors, Bar’s, amenities and a solar power campsite within a stones throw for the guests to lay their head after the night. 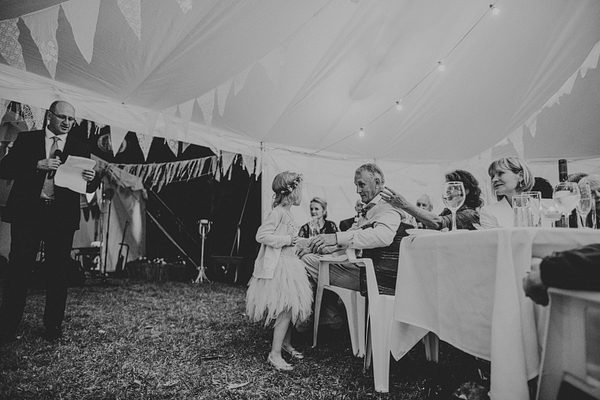 Members of the extended family took it upon themselves to make and bring every piece of decoration and furniture to transform the place, whilst countless hands made it possible. 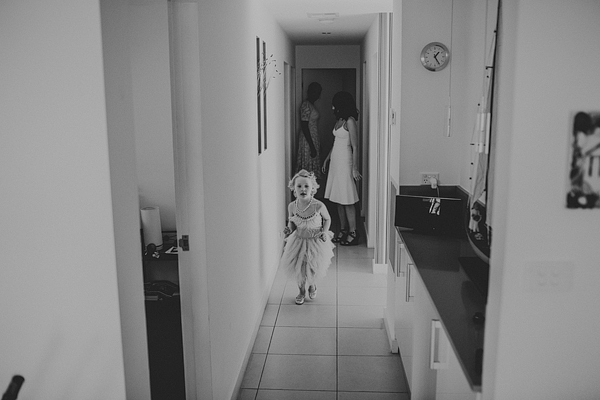 It was just breathtaking from the second you walked in. 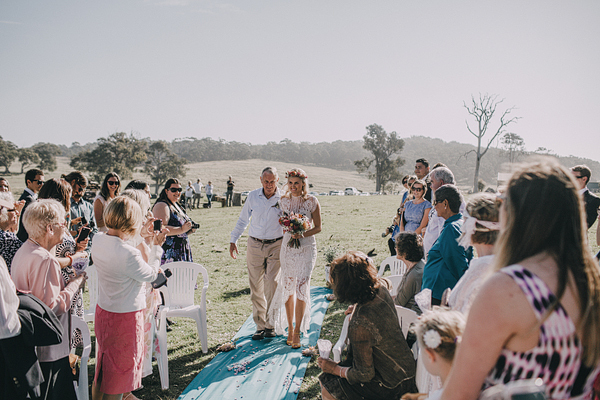 On the day, the skies opened up to reveal one of the most beautiful days of the year. 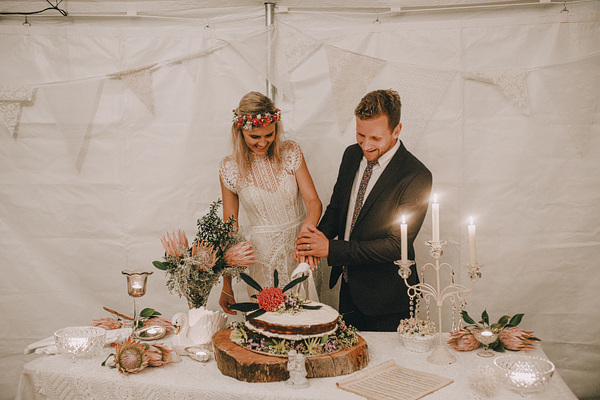 To the point where there wasn’t even a breath of wind to blow out the 200+ candles lit around the property. 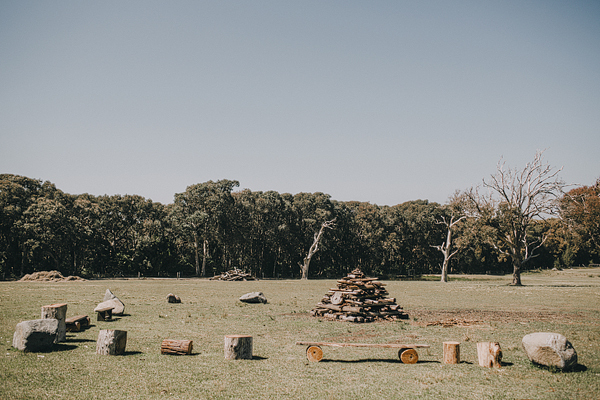 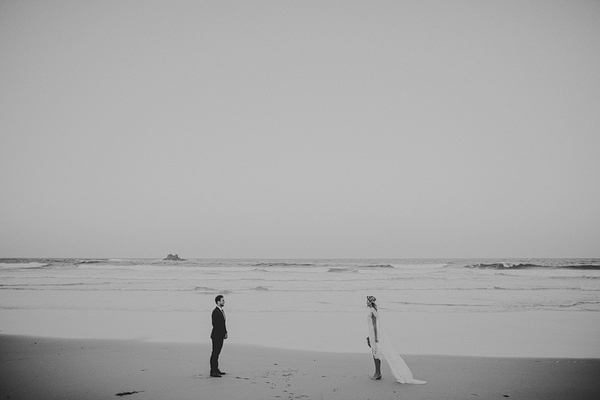 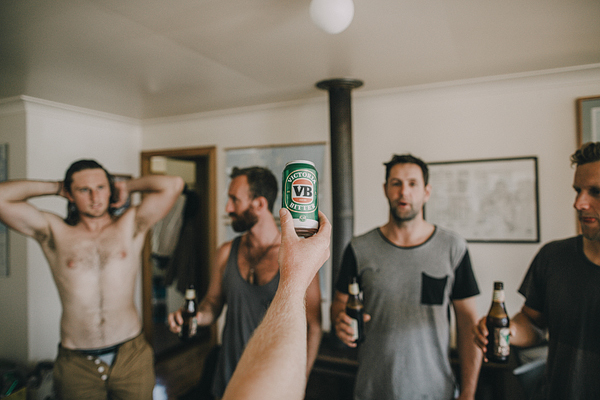 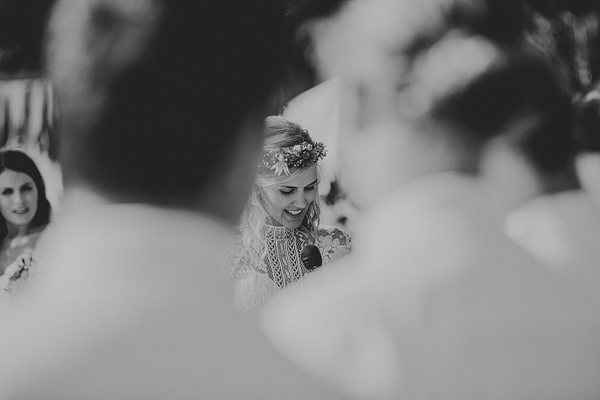 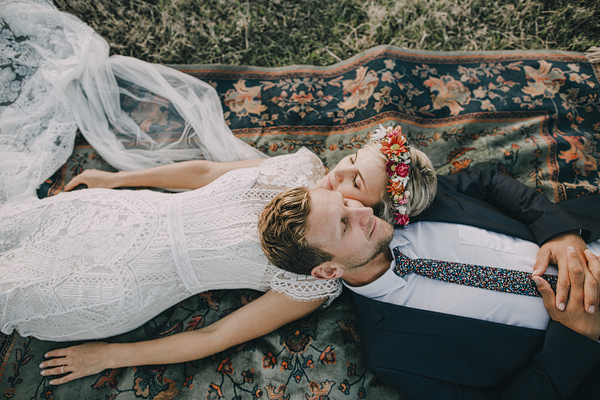 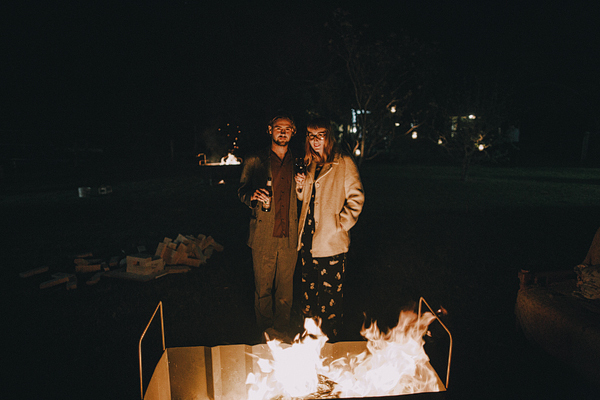 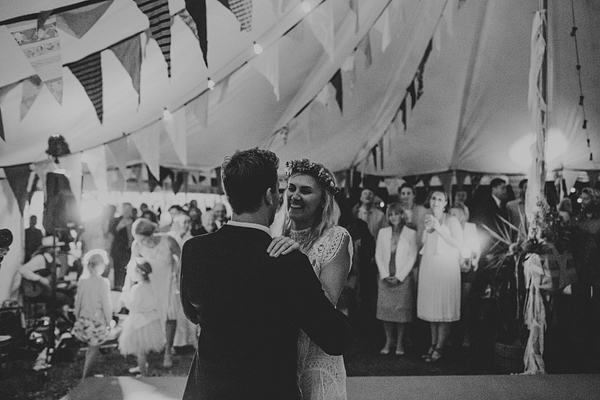 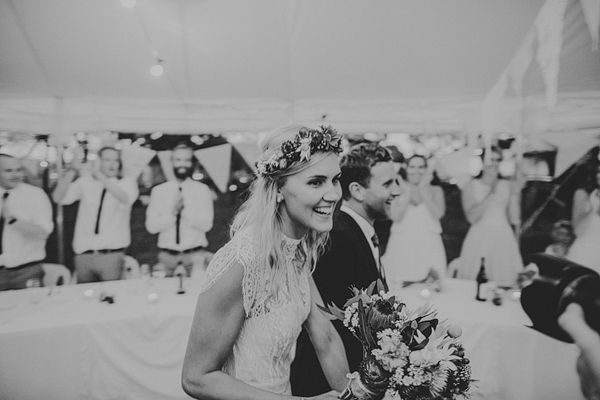 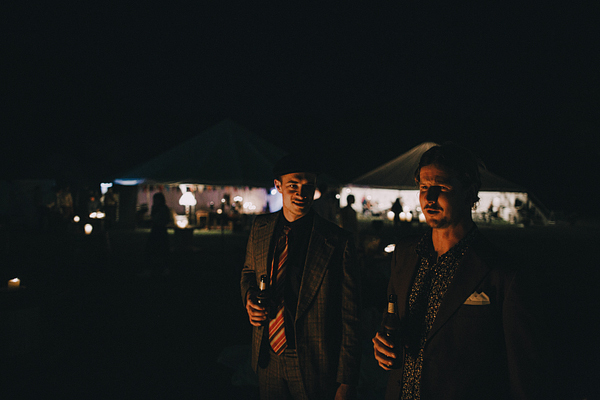 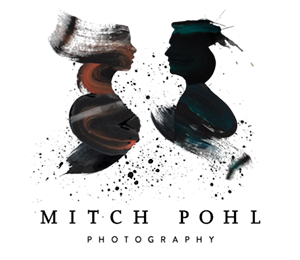 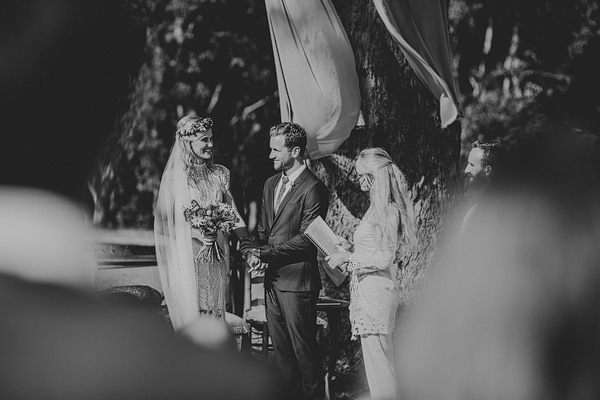 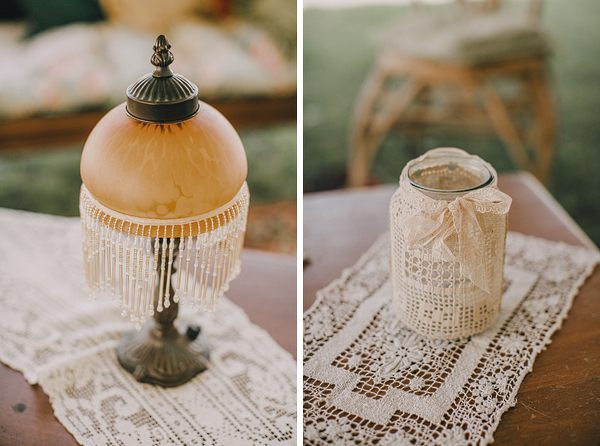 The beauty of the ceremony speaks for itself, with everyone then venturing through to the open yard with an oyster and champagne in one hand, and a game of giant Jenga or a match to light the scattered drum fires in the other. 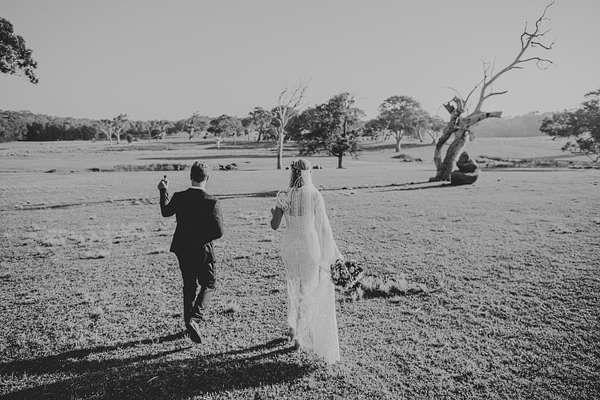 We made our way around the spectacular property, passing a million photo opportunities to find the ones that trumped the others. 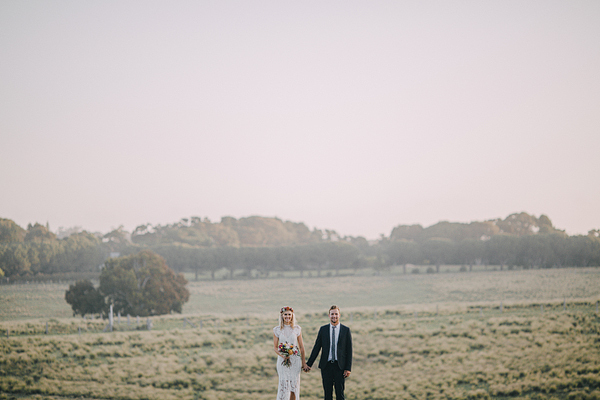 From the farmland, to the hill overlooking it all, then back down into the dense bush and eventually the beach. 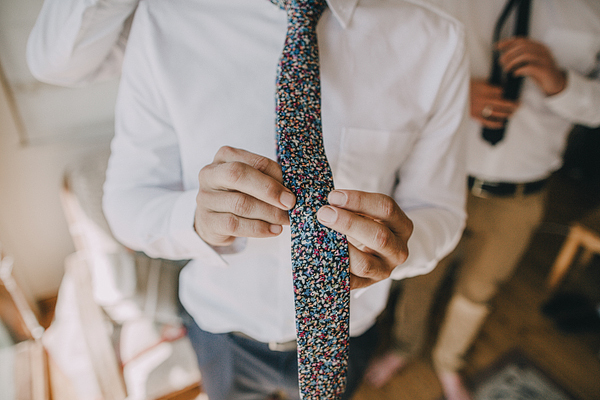 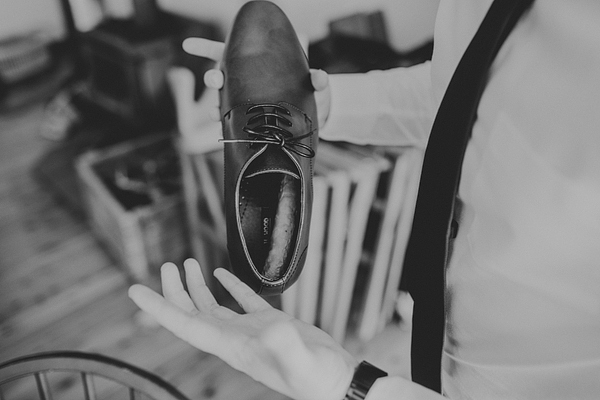 It’s not hard making something look good if its already beautiful. 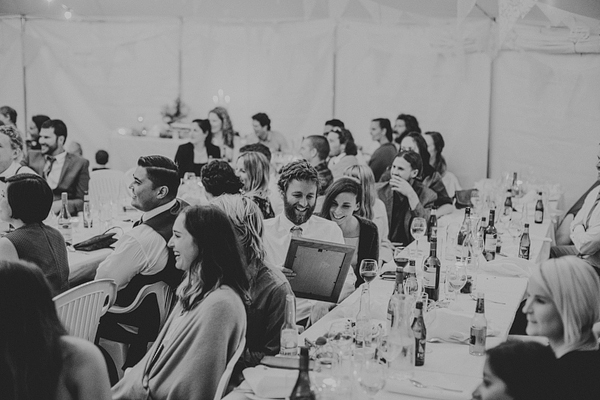 Back to the reception to laugh our way through the speeches and delicious dinner, then onto the dance floor where it was evident that everyone involved had nothing but love and laughter in them for the night. 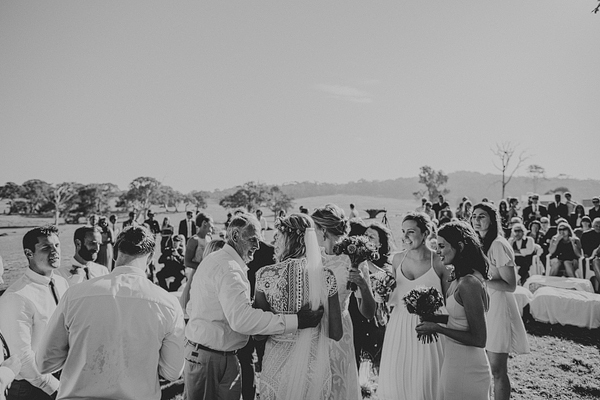 Such a special family and group of people surrounded this couple. 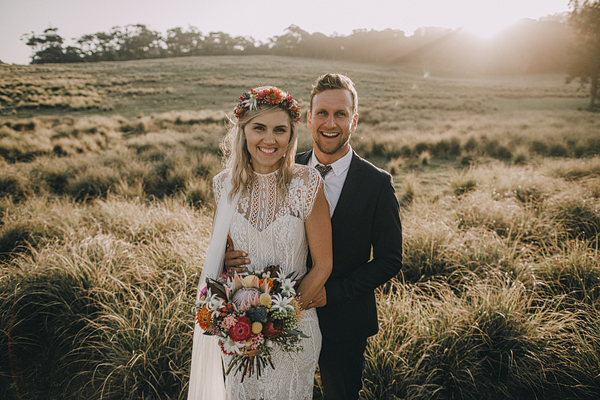 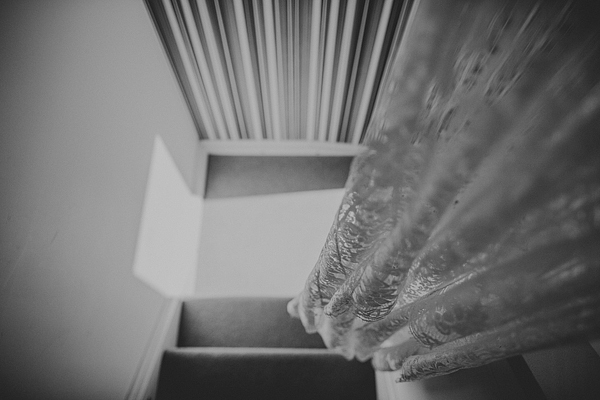 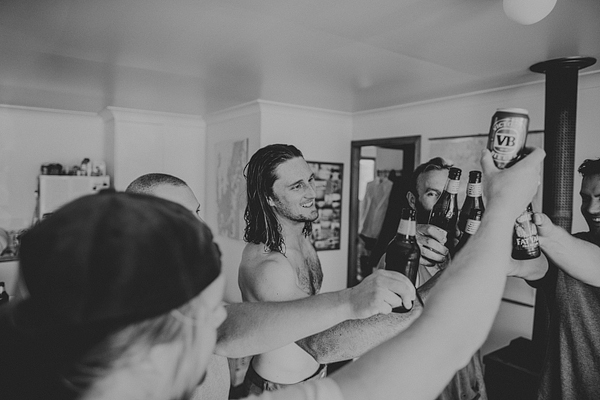 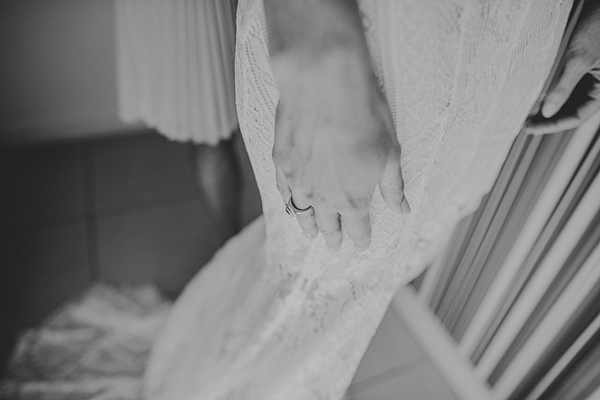 Thank you – such a wonderful experience to view these photos – such a wonderful wedding and a beautiful memory to have for you all.